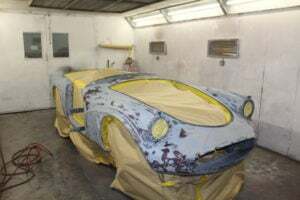 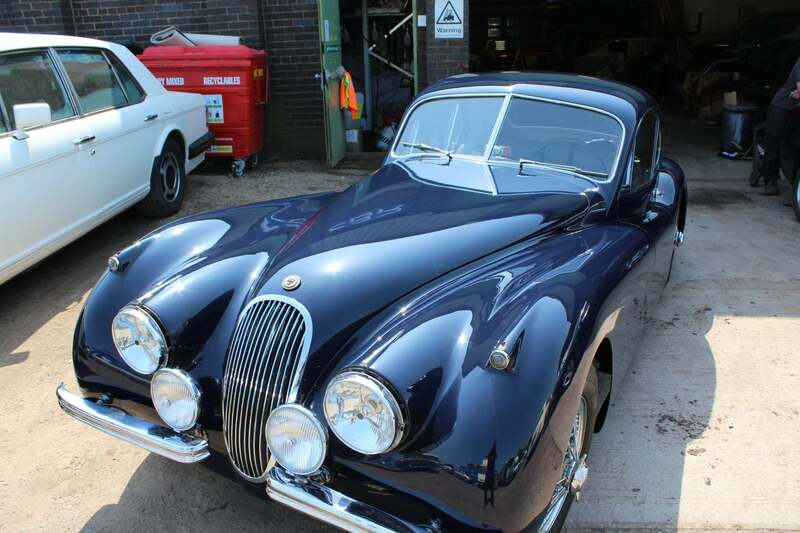 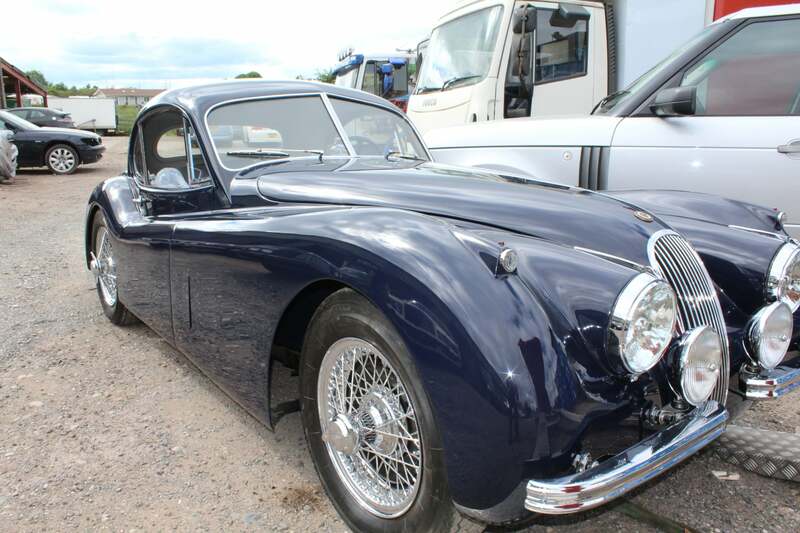 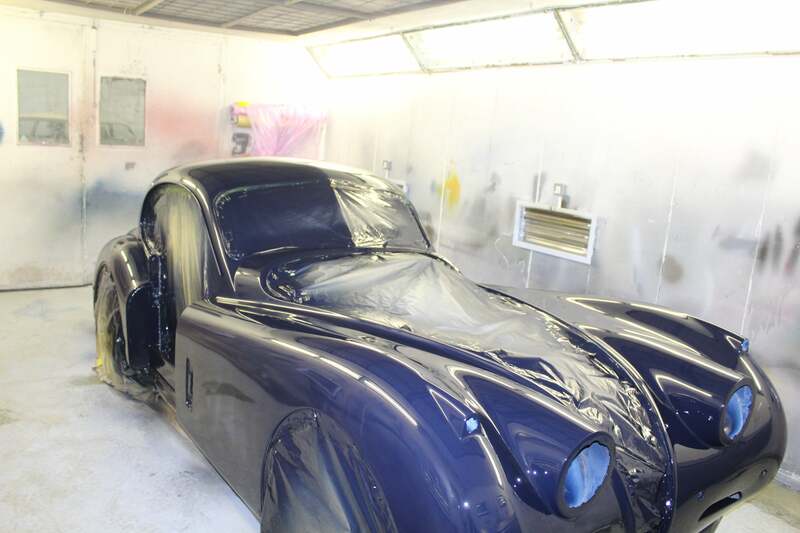 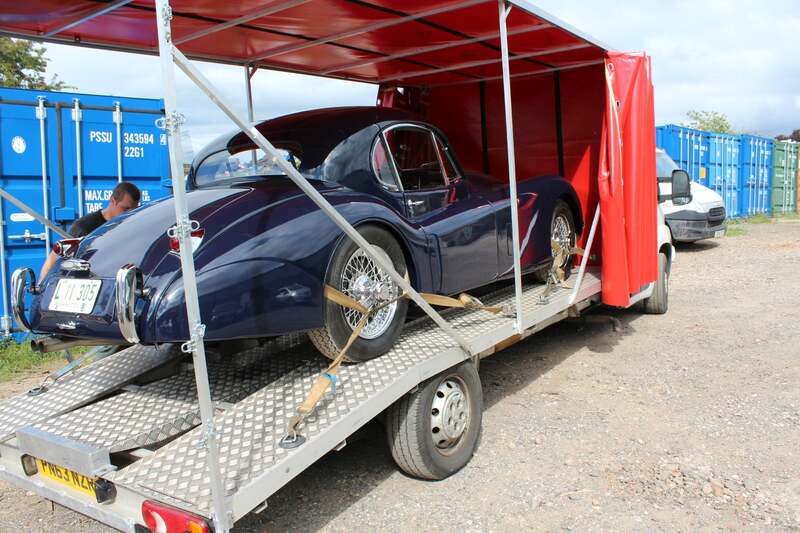 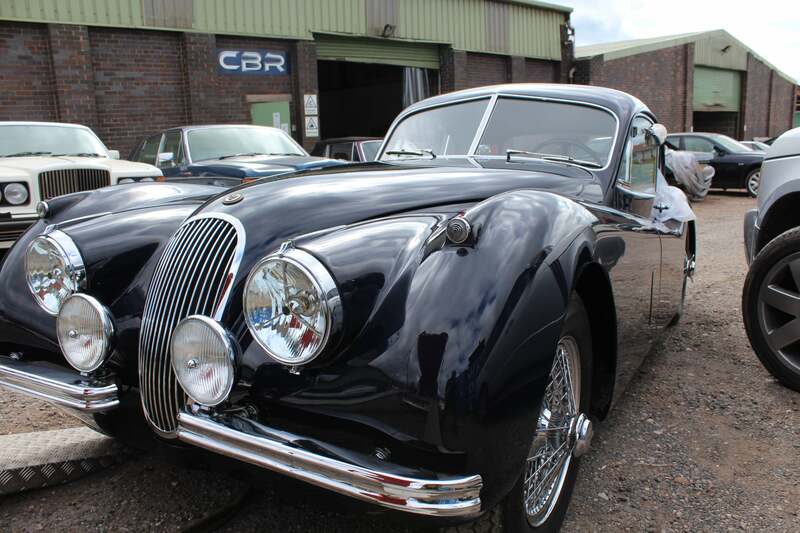 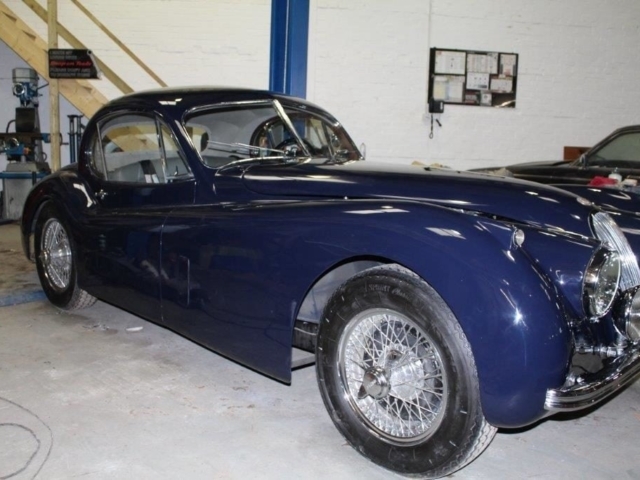 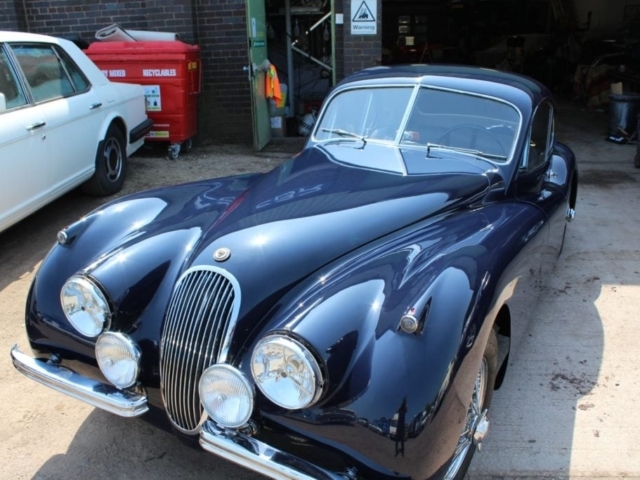 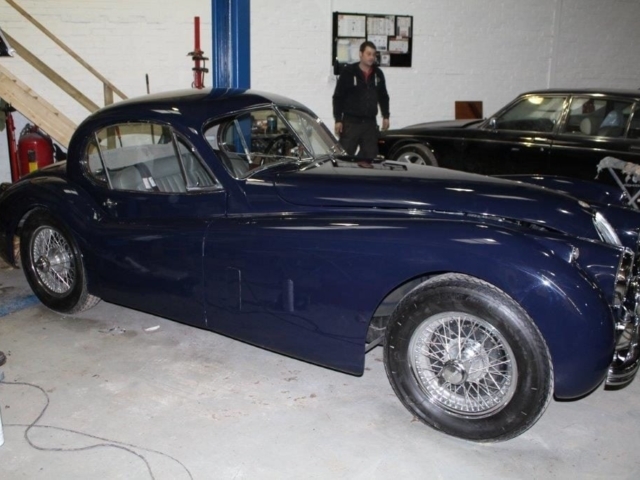 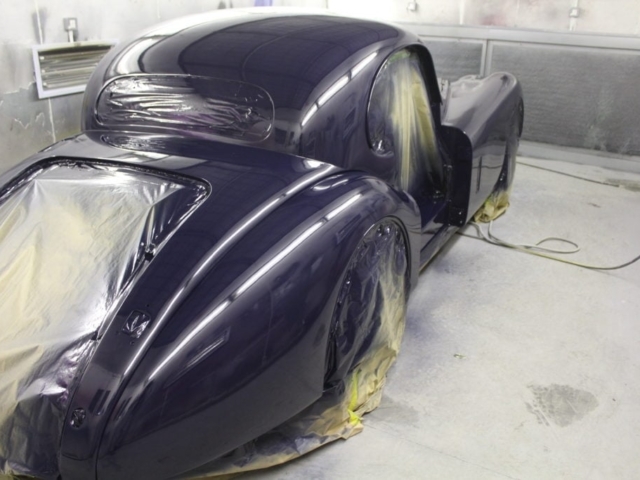 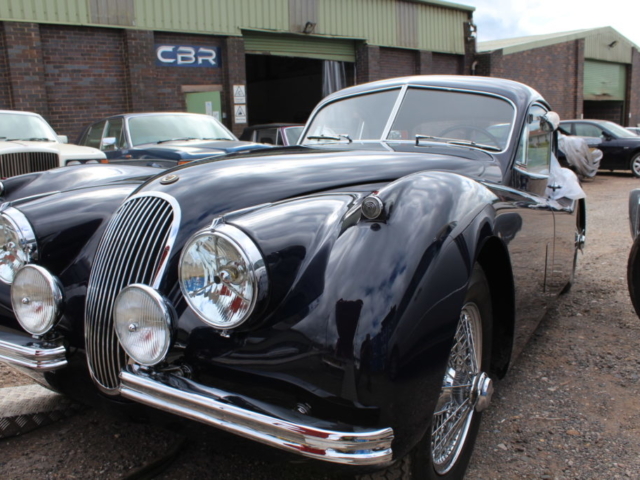 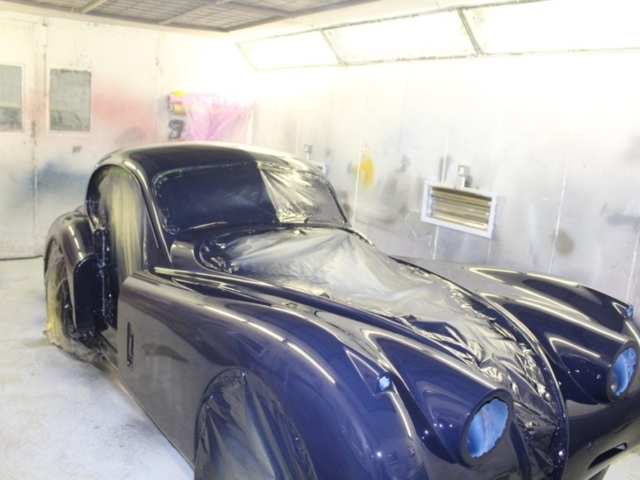 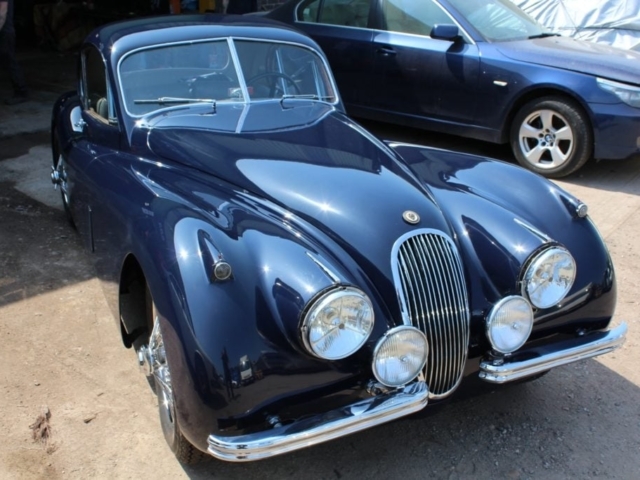 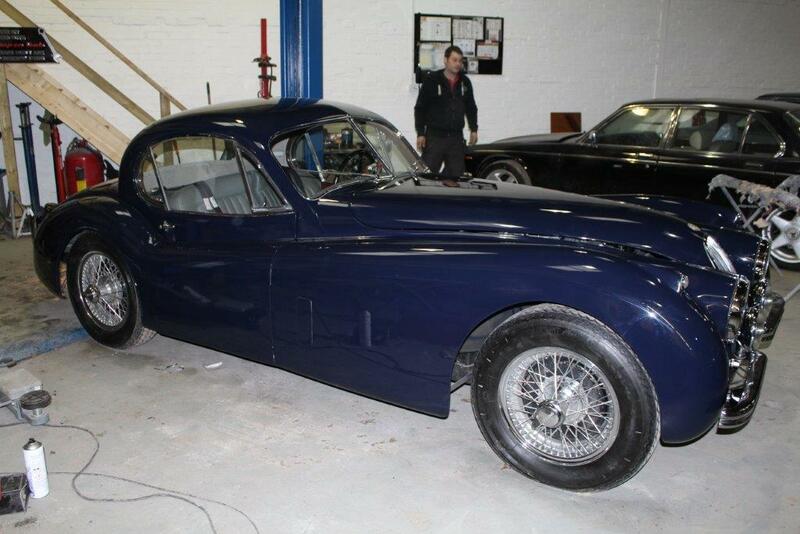 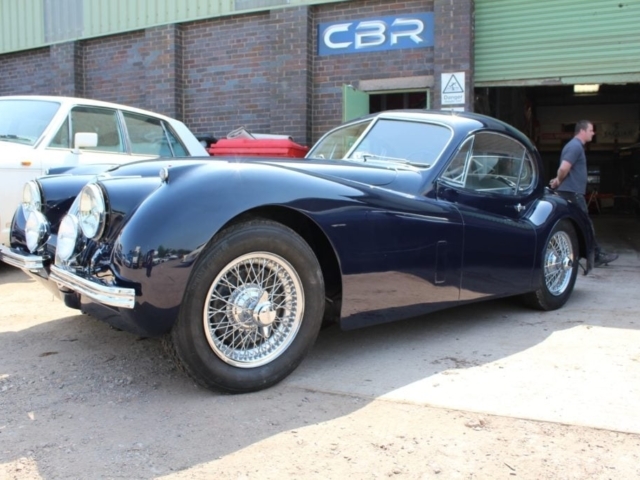 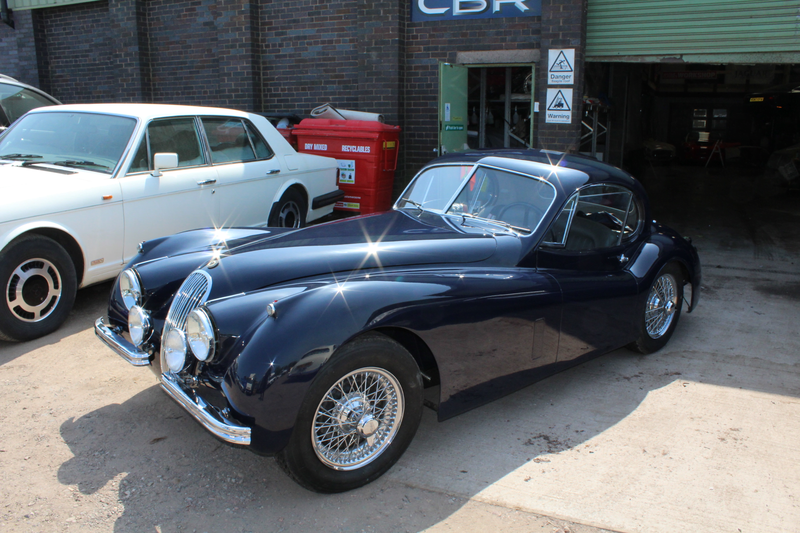 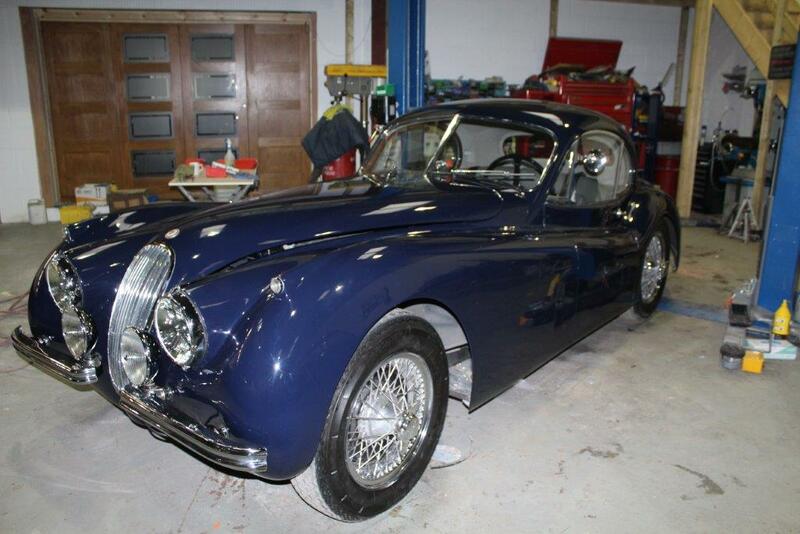 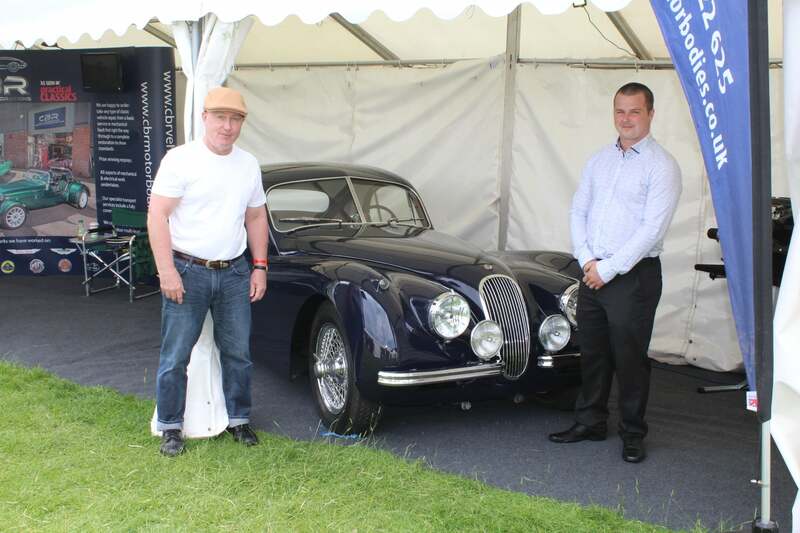 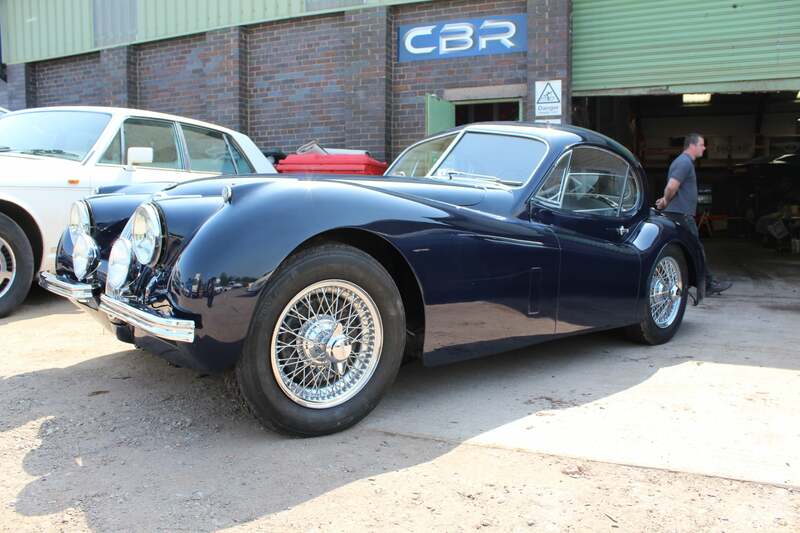 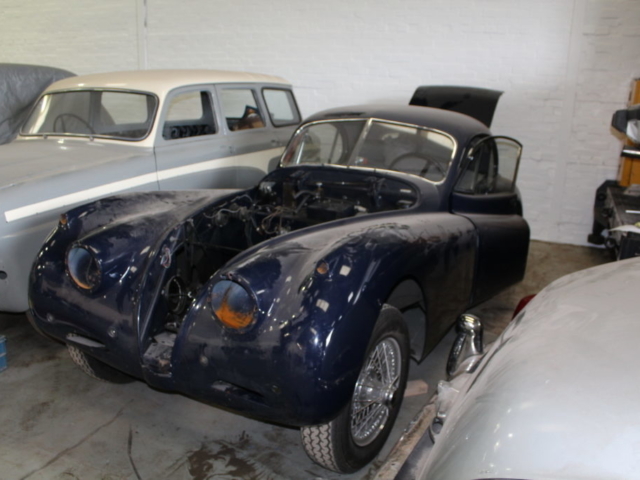 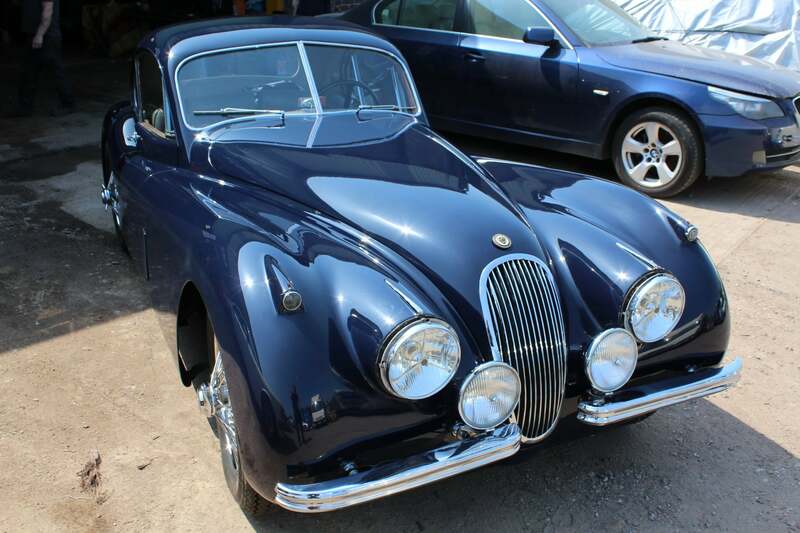 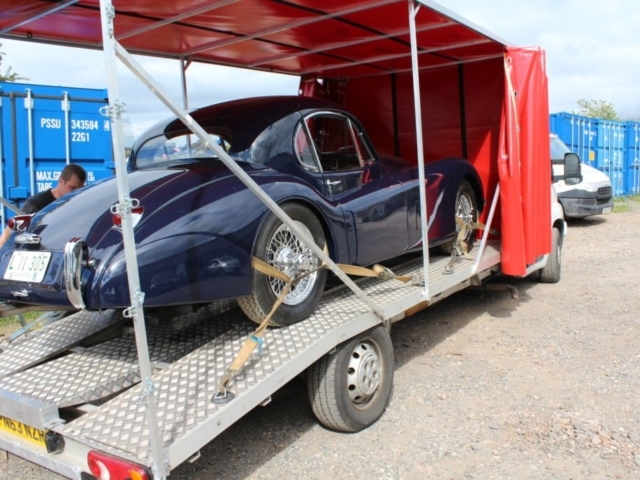 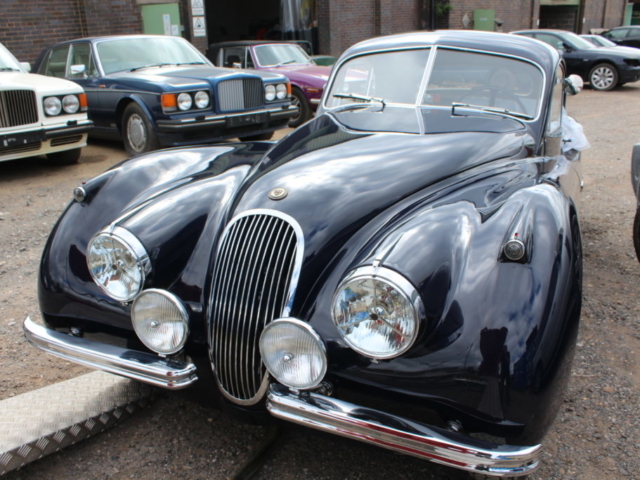 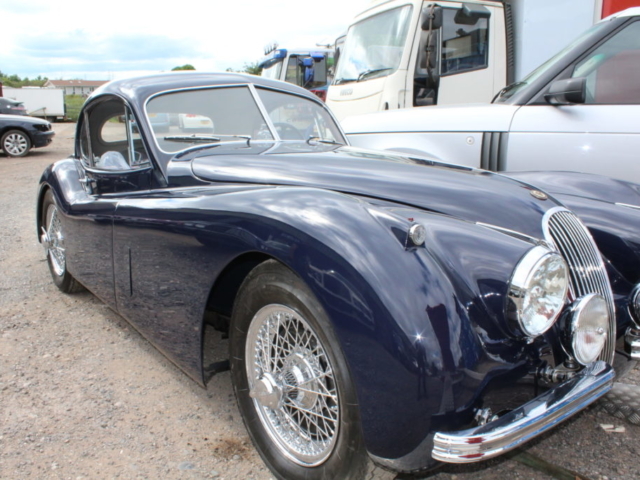 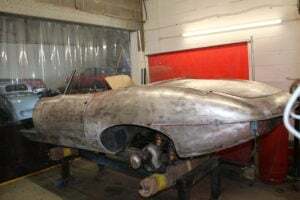 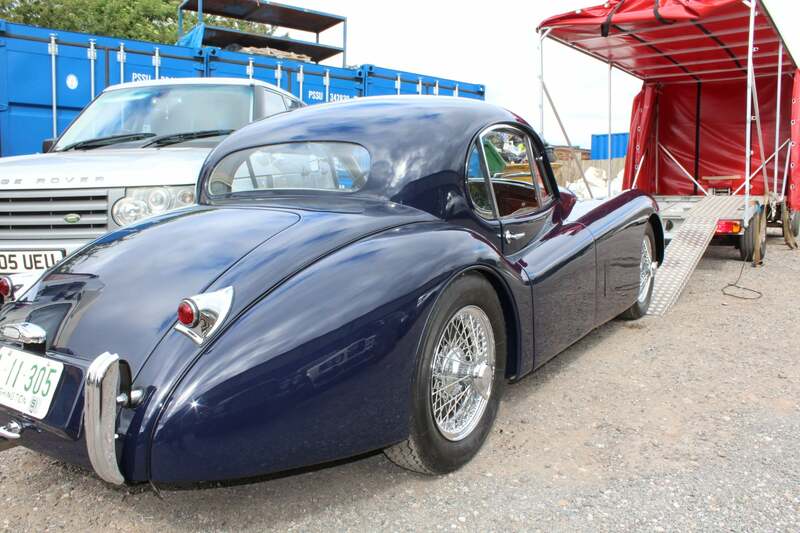 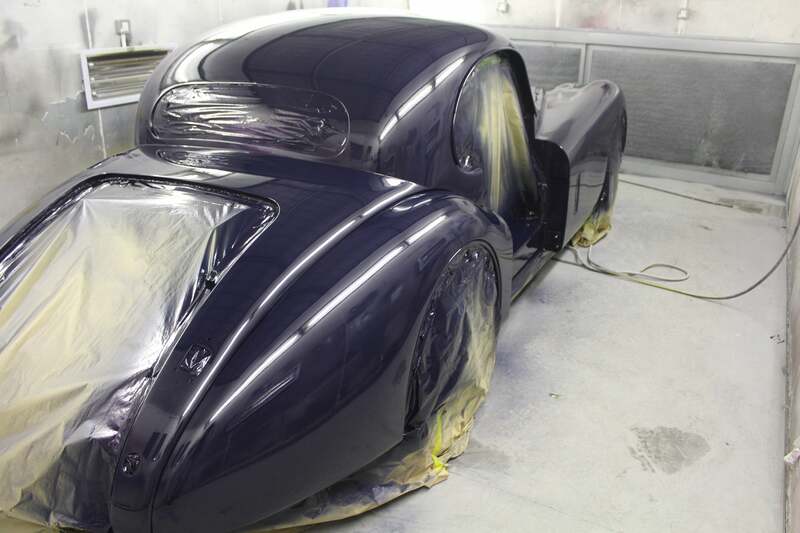 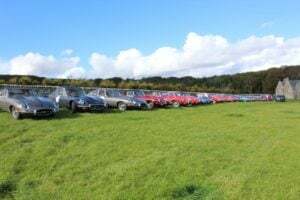 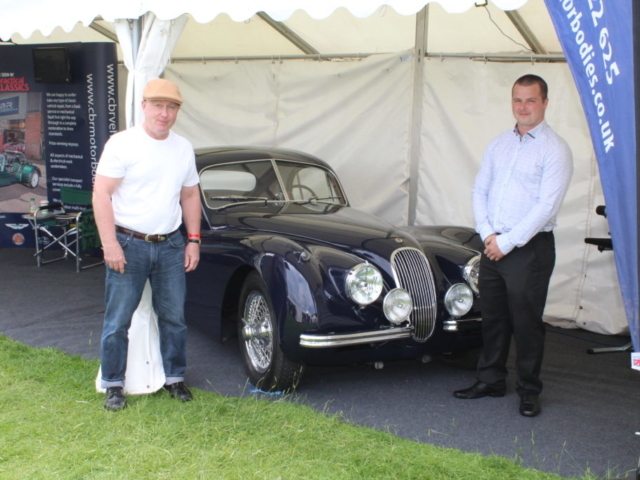 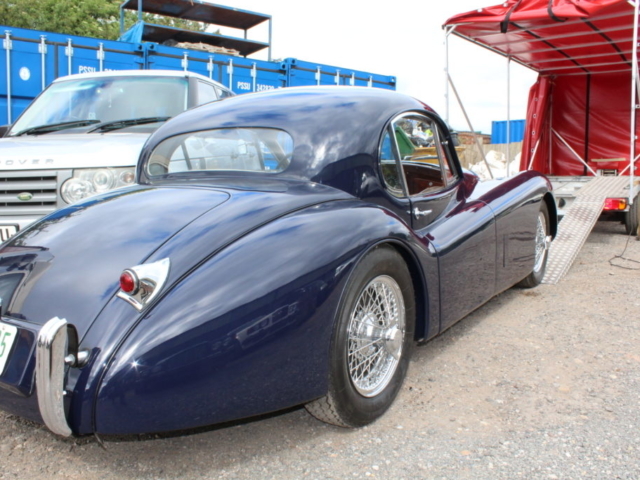 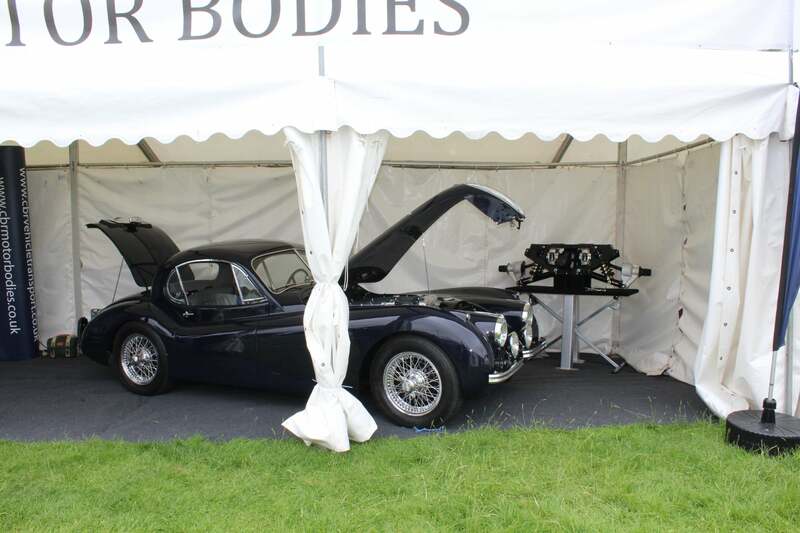 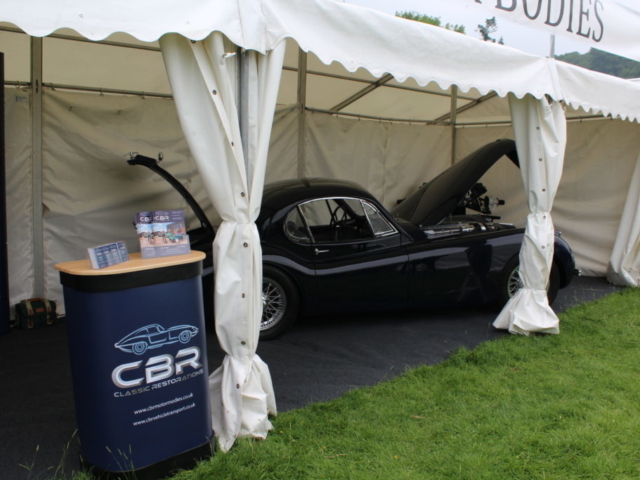 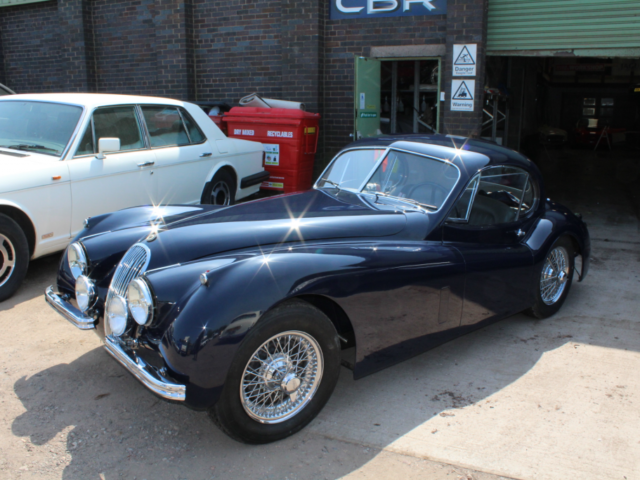 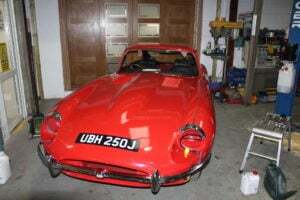 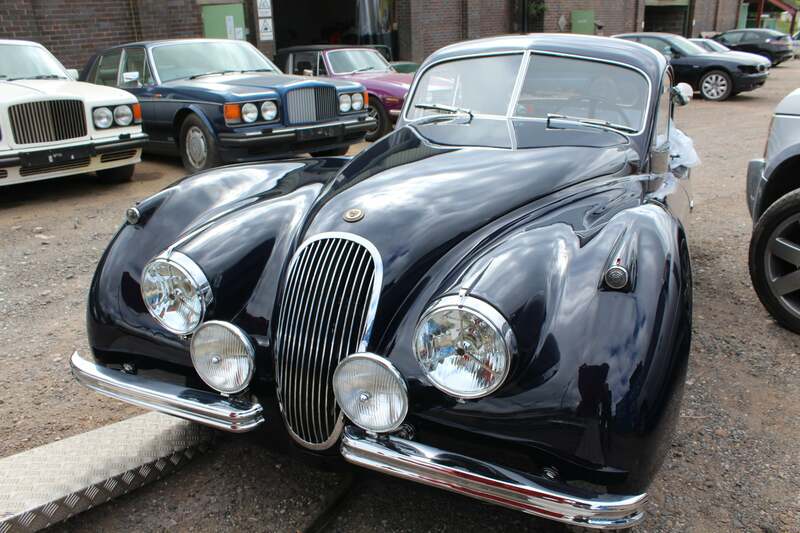 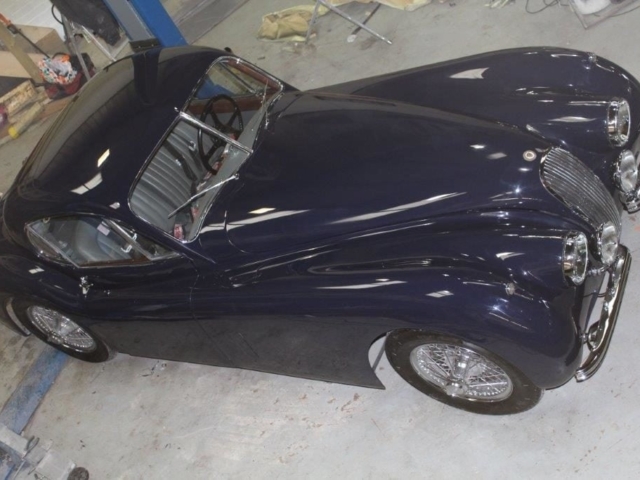 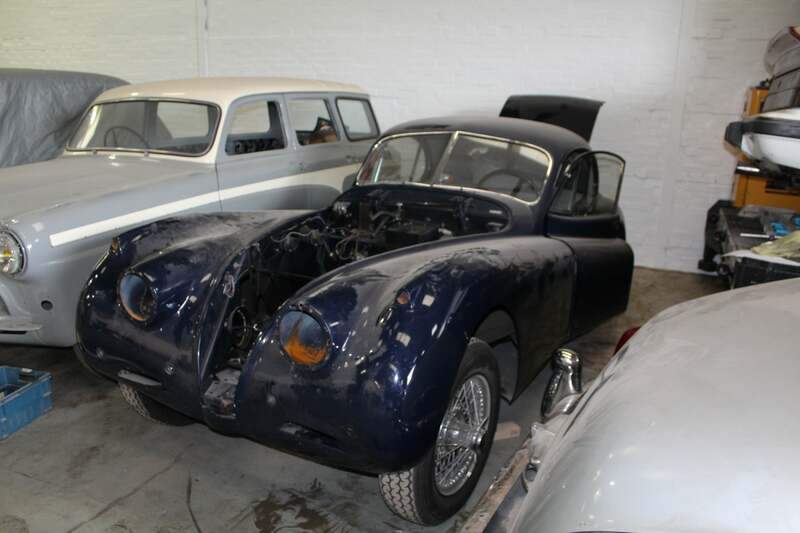 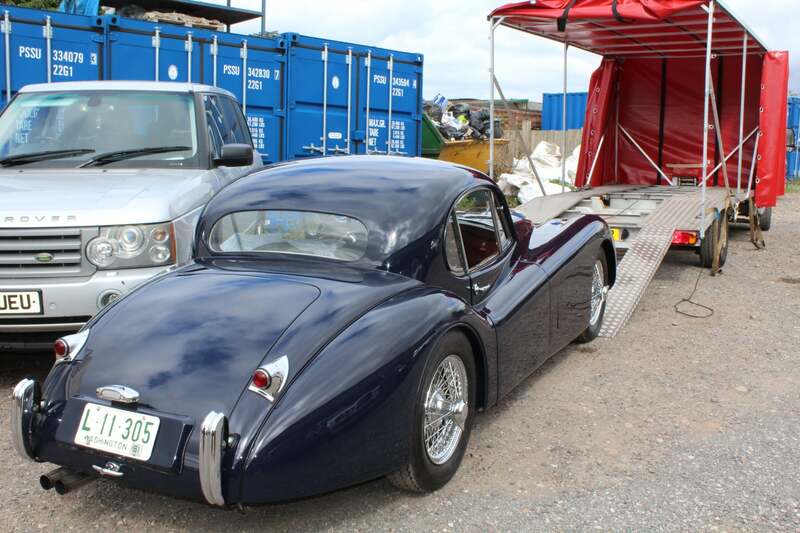 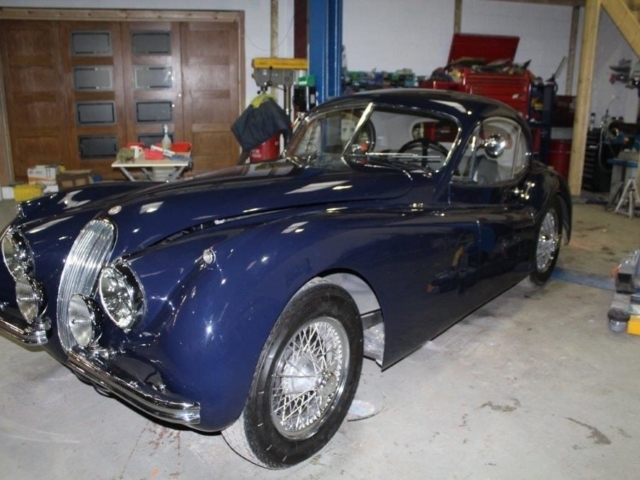 We picked this project up following the Jaguar XK Coastal Tour of Britain for prostate cancer that we supported as mobile mechanic for half of the tour. 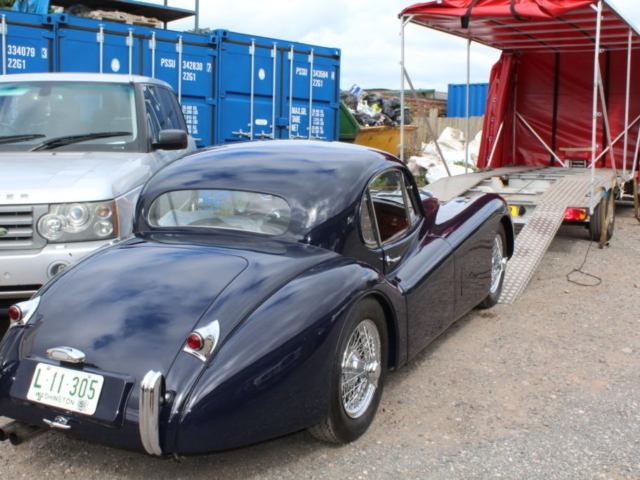 The American owner did not think he would finish the tour until we got our hands on the car sorting out his gearbox and running issues. 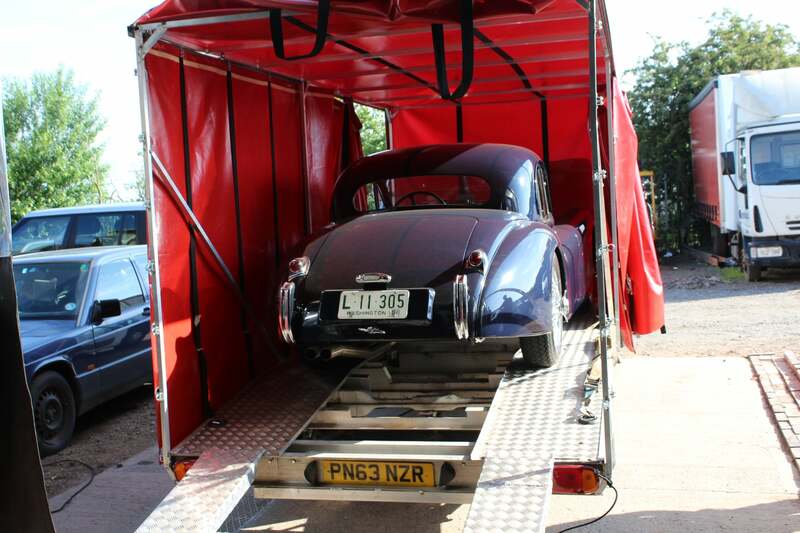 Not only did he finish the tour but he really enjoyed the drive once his car was working properly. 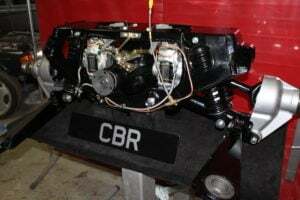 At the end of the tour he approached us to see if we would undertake the rest of the work that the vehicle required, we were only to happy to help. 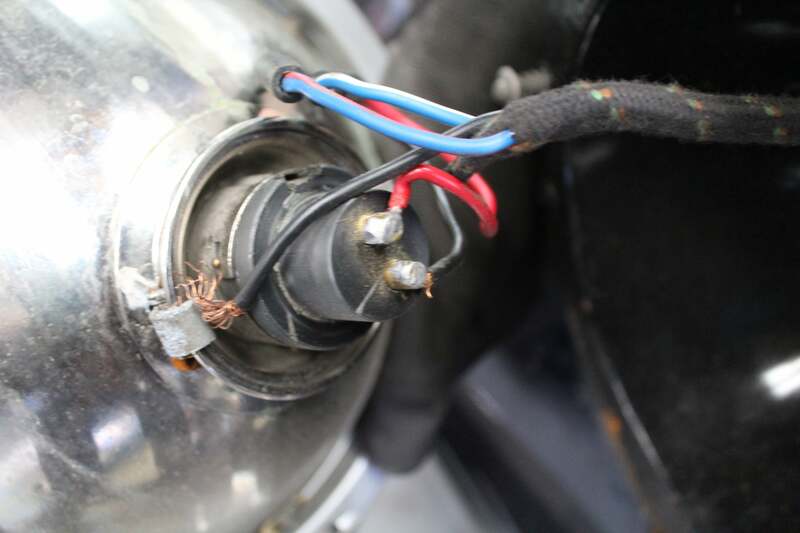 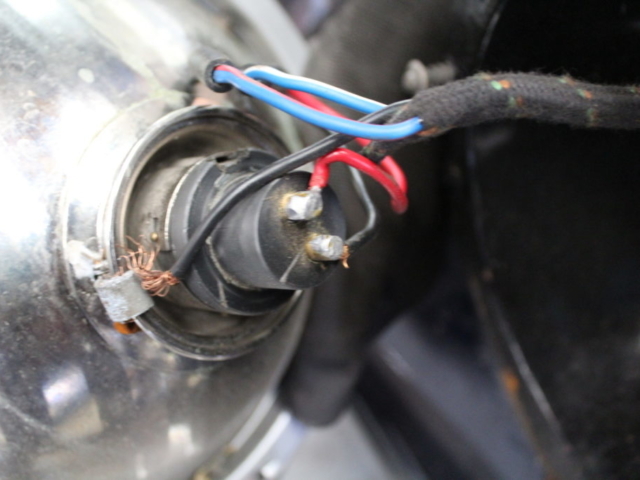 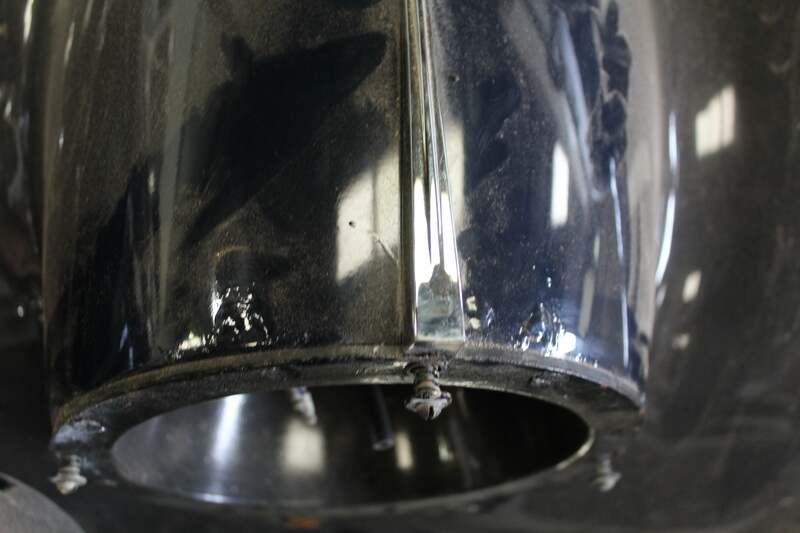 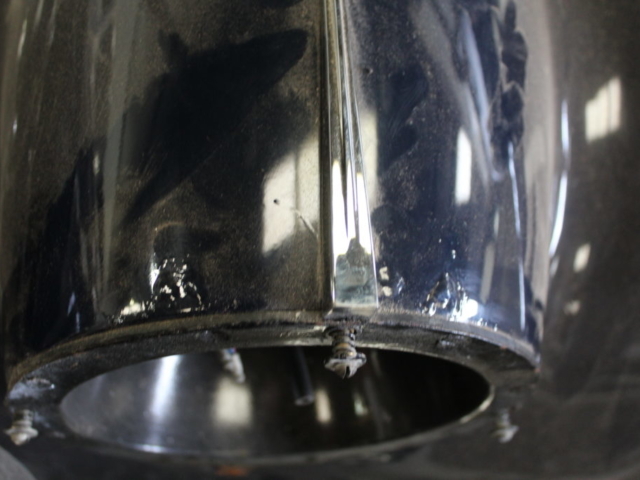 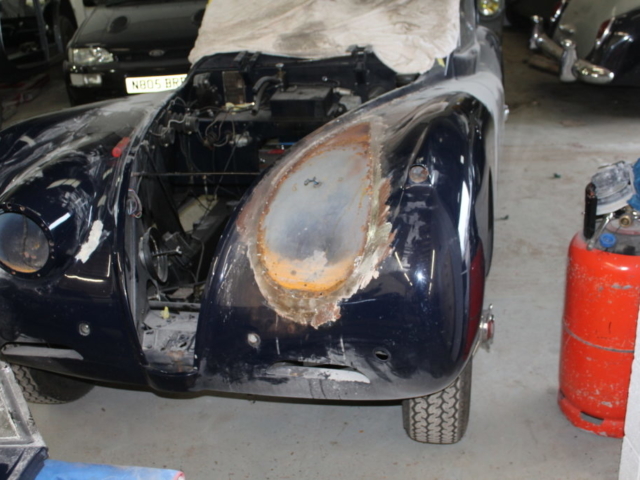 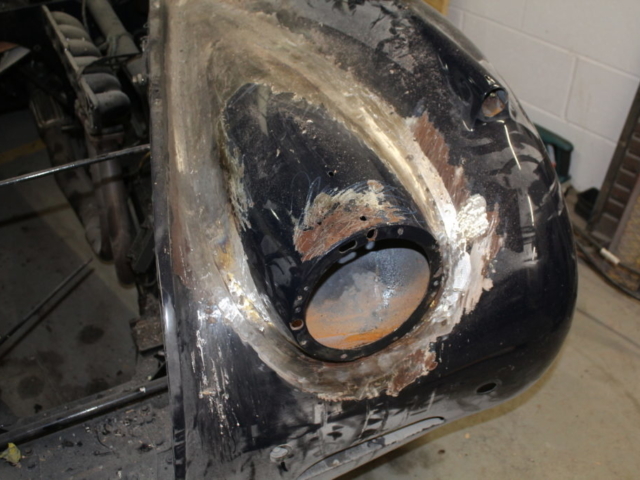 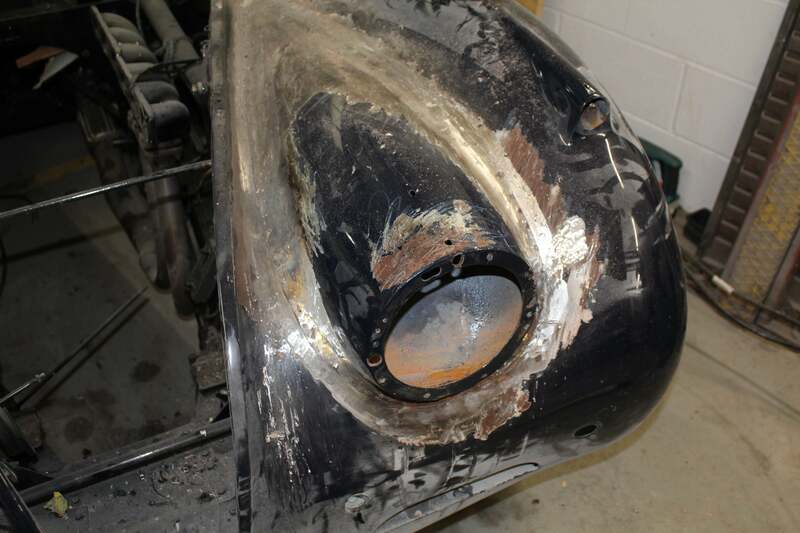 The car needed a full engine and gearbox rebuild plus quite a bit of bodywork to address the corrosion beneath the headlight pods. 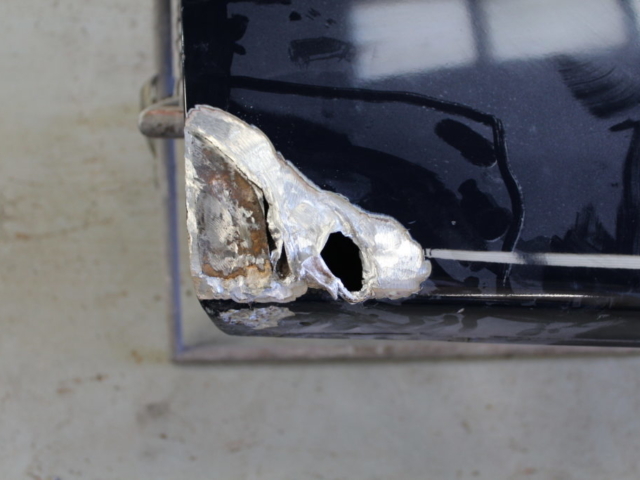 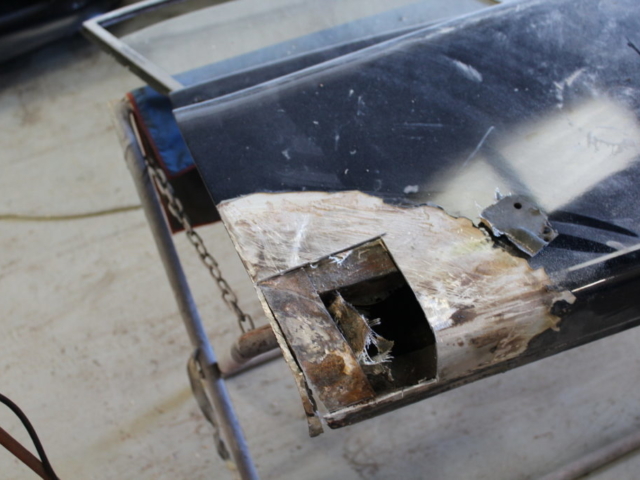 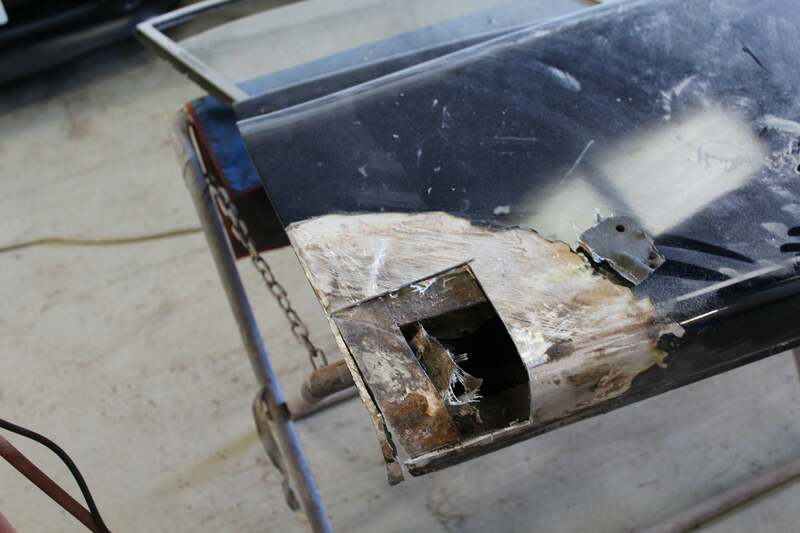 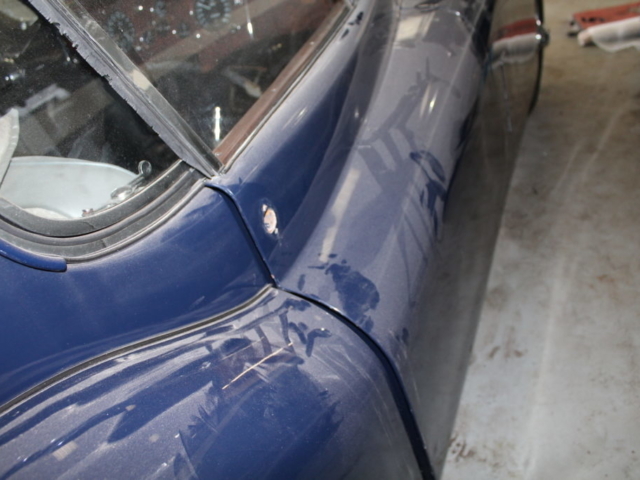 We also repaired the woodwork and aluminium in the base of one door. 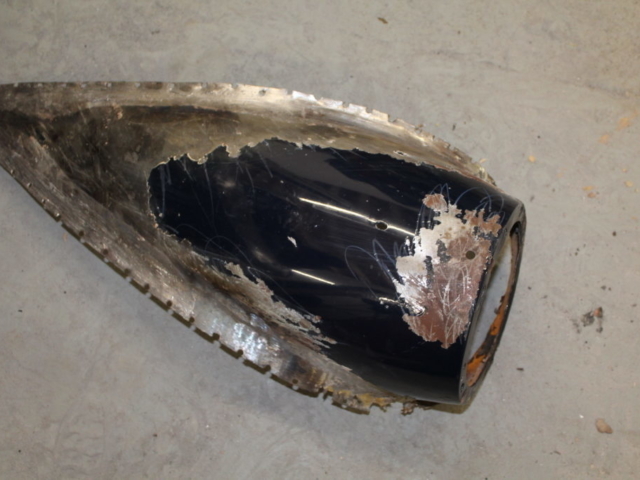 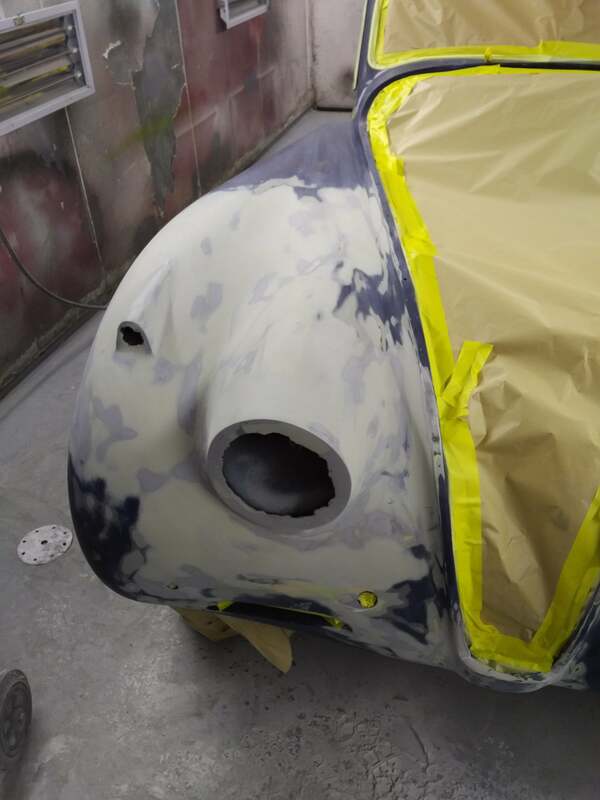 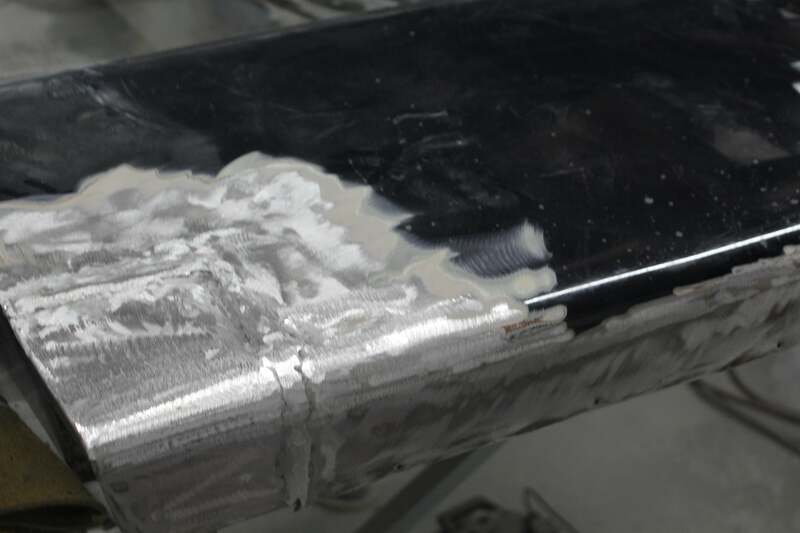 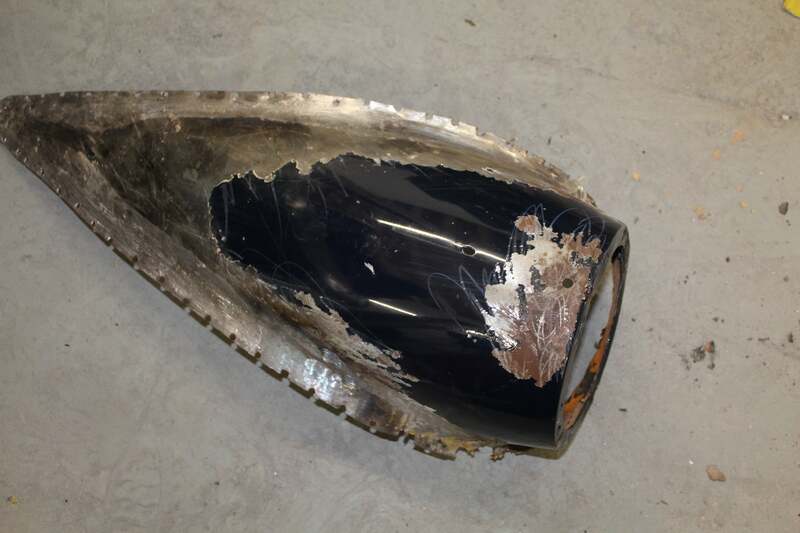 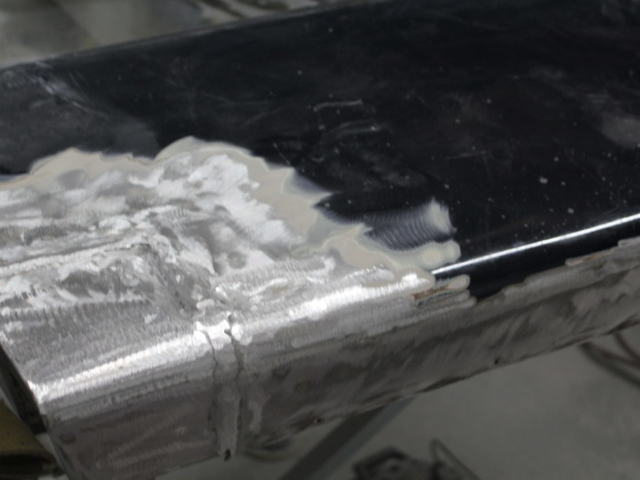 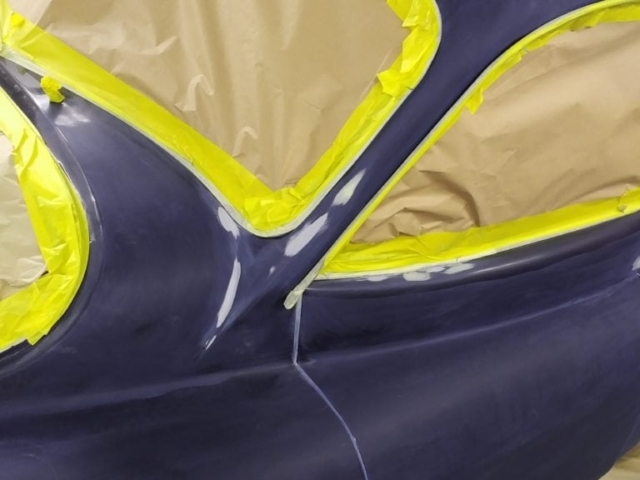 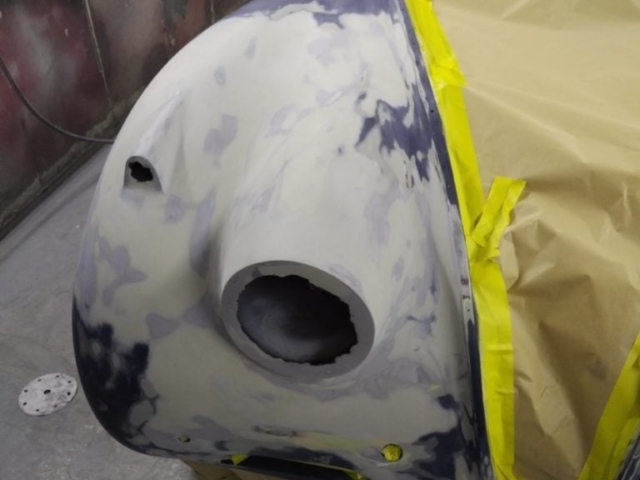 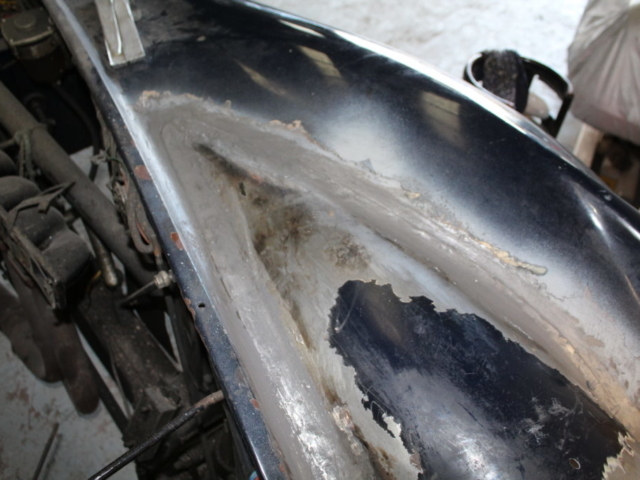 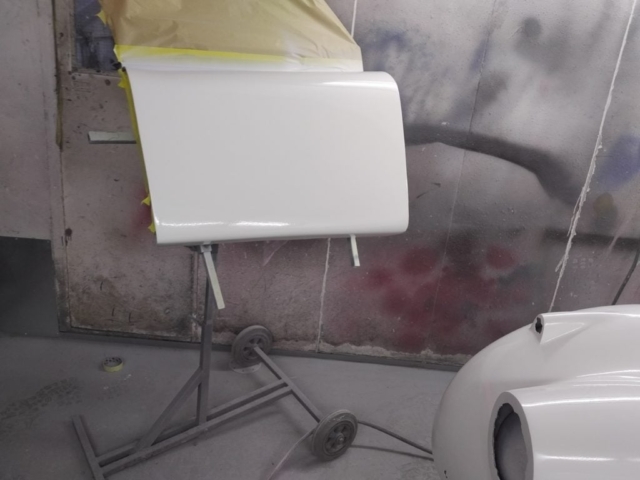 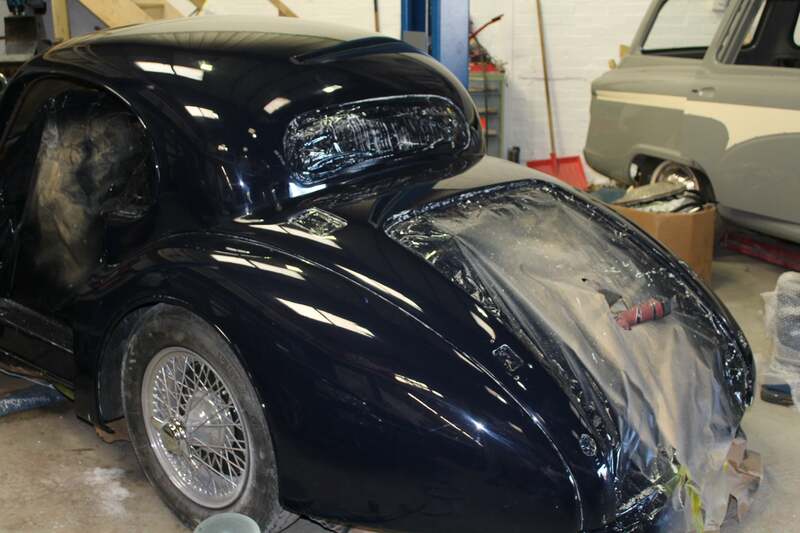 Following the fabrication work to make good the bodywork we lead loaded, prepped and painted the body to show standards. 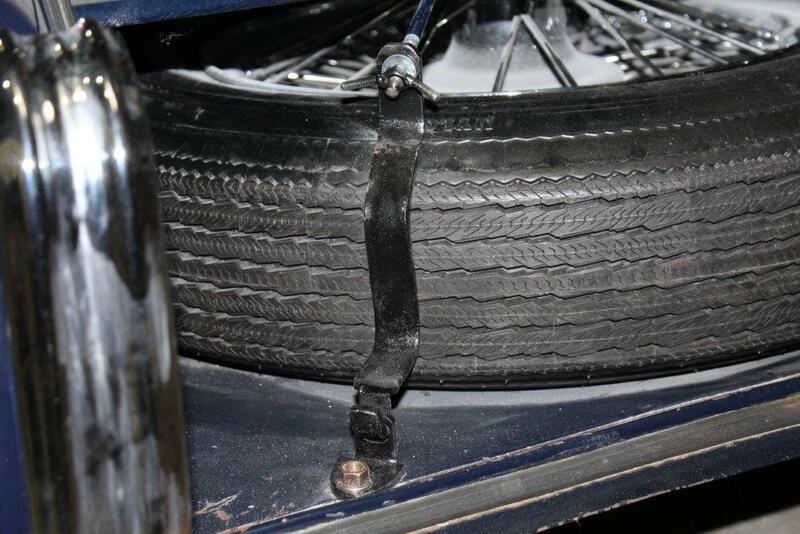 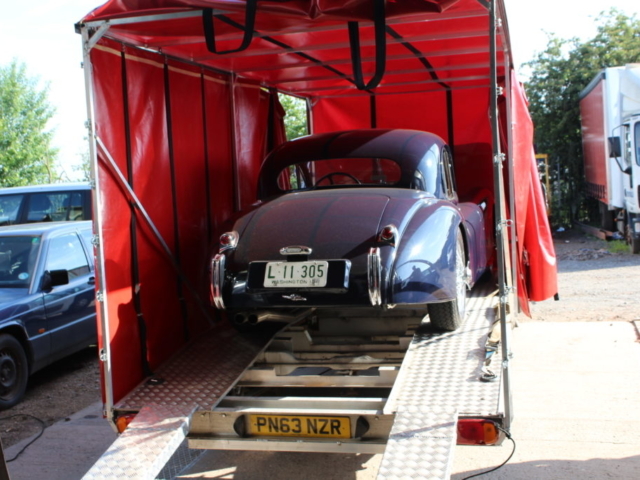 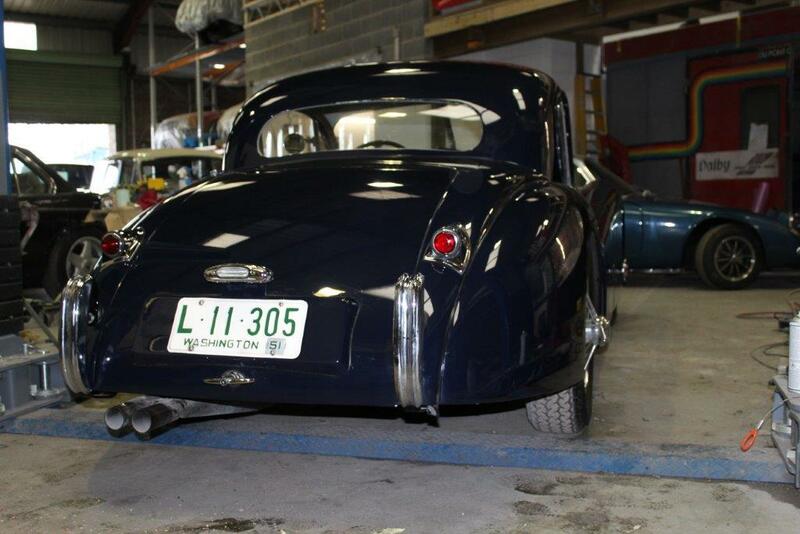 We have been ploughing through the work and now the car is ready to go back to its owner in Washington DC in the USA. 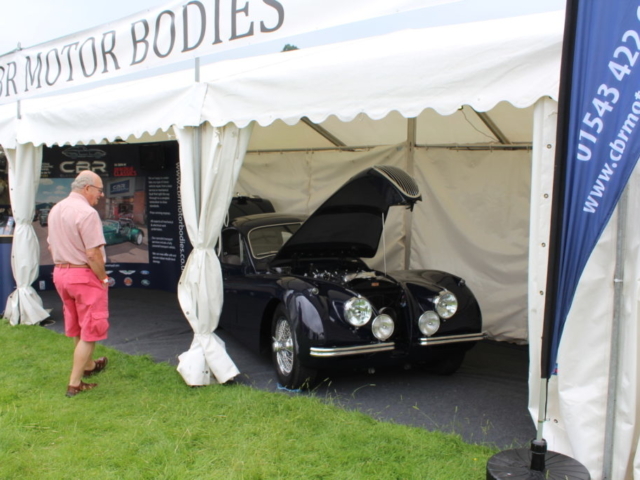 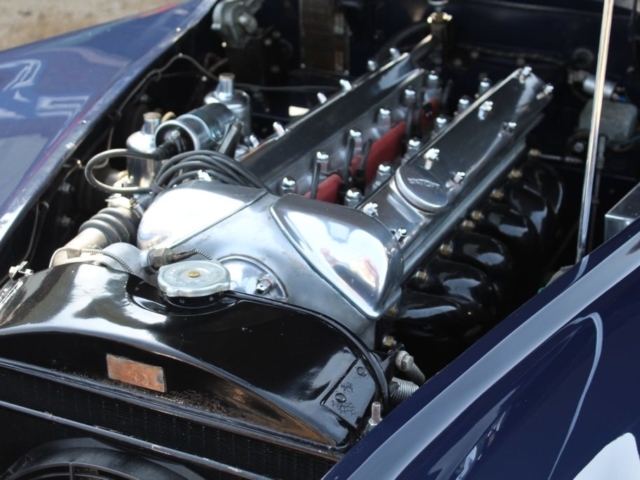 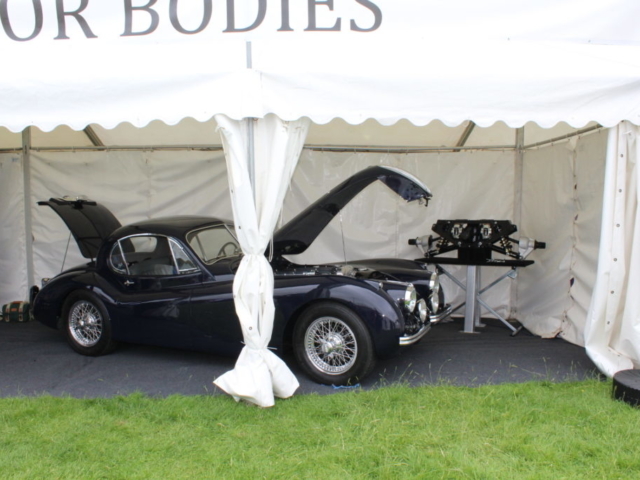 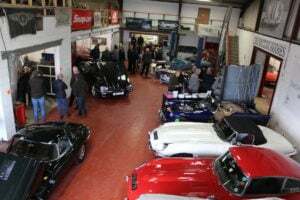 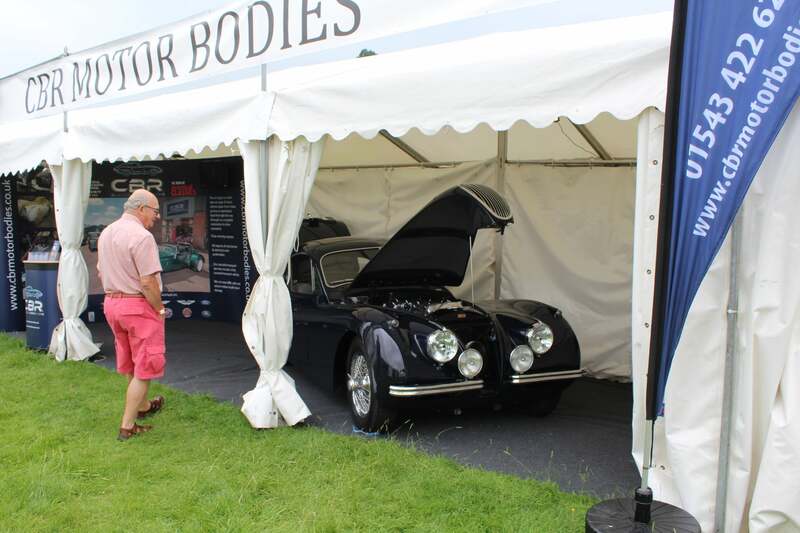 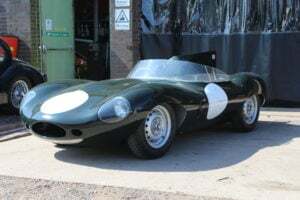 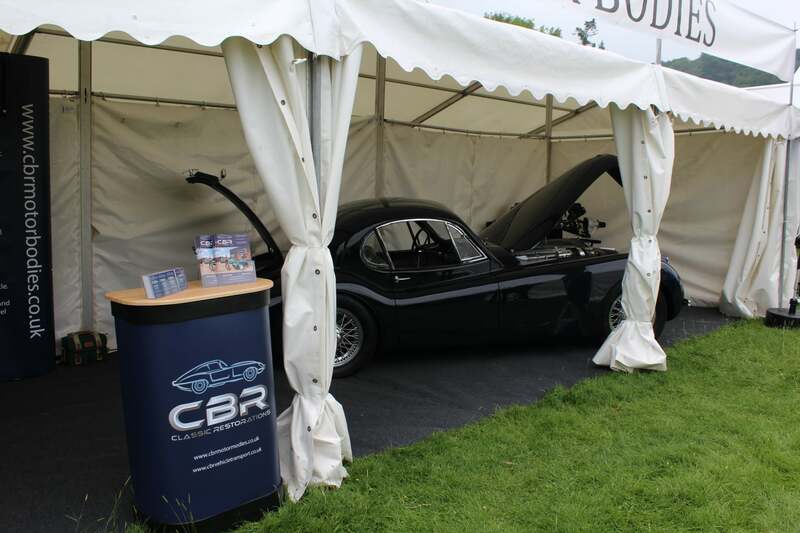 Before it goes back over the pond though we will be appearing with the car and owner at the XK70 Jaguar Festival at Shelsley Walsh Hill-climb in Worcestershire on 9th and 10th June 2018. 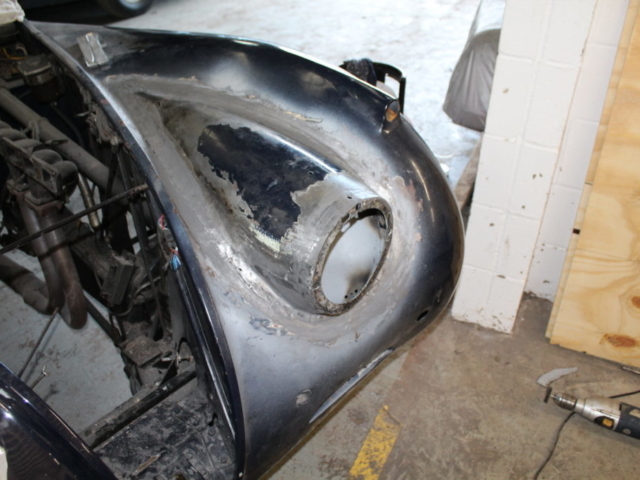 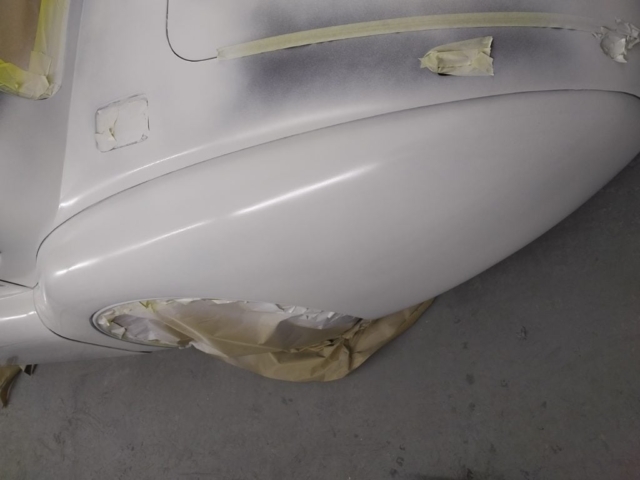 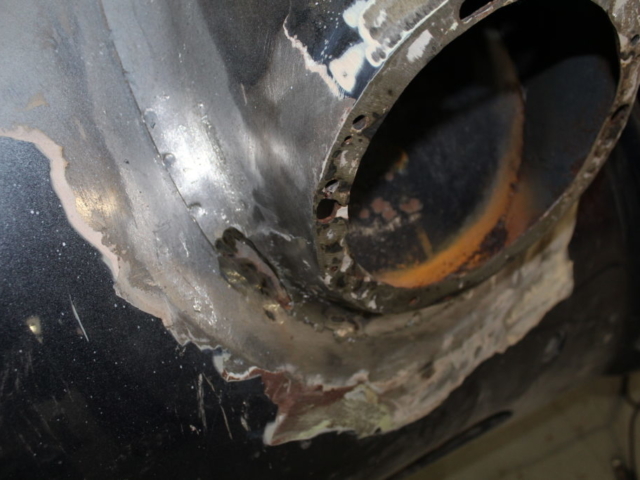 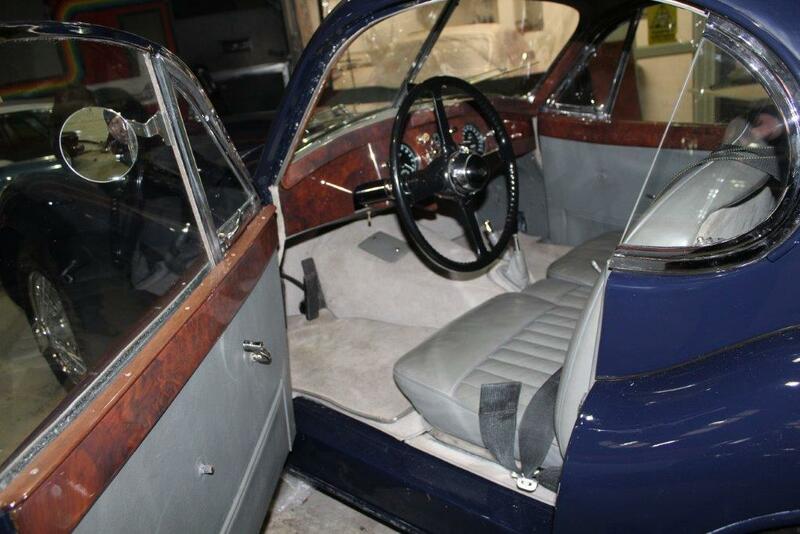 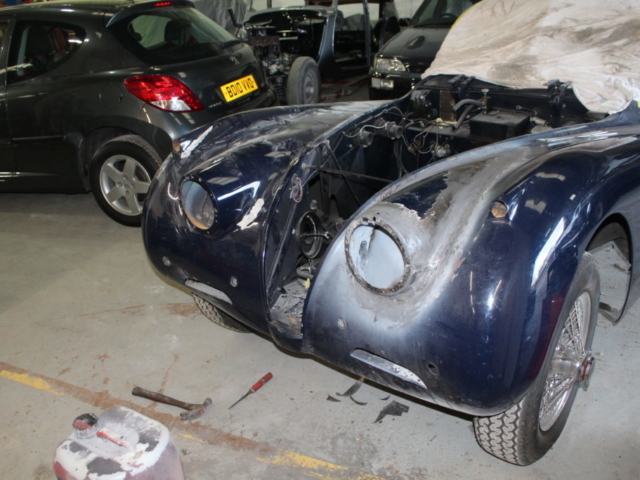 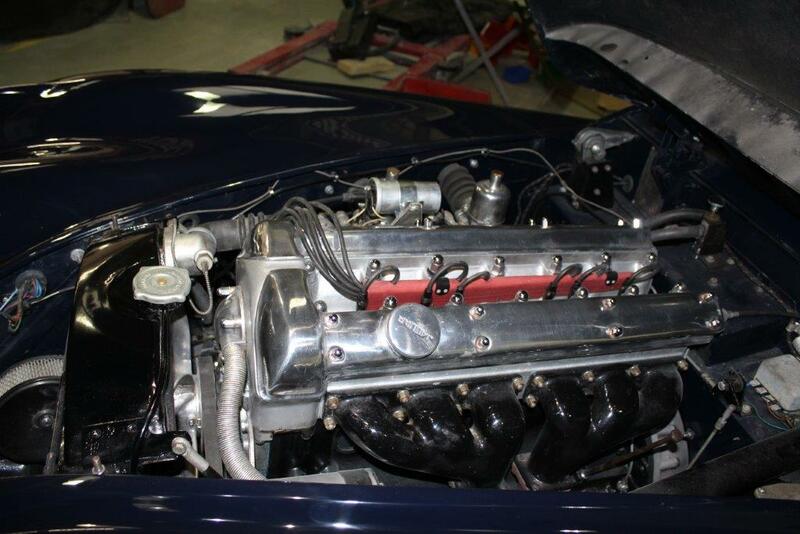 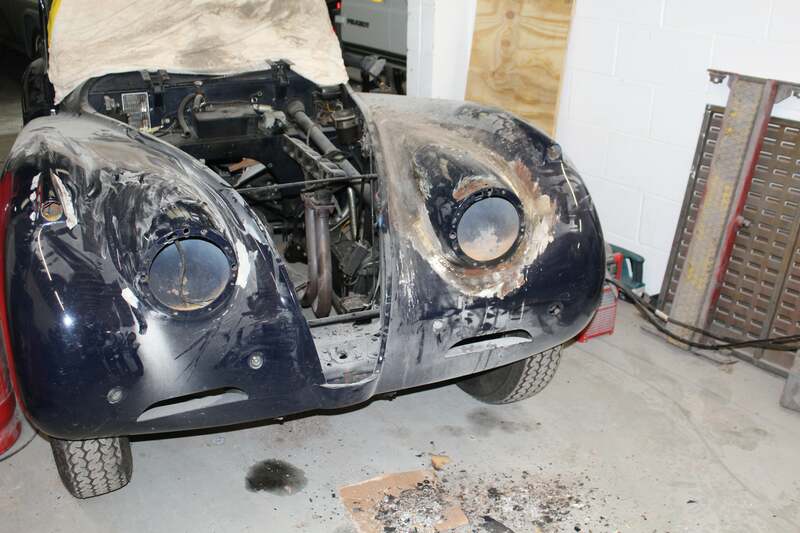 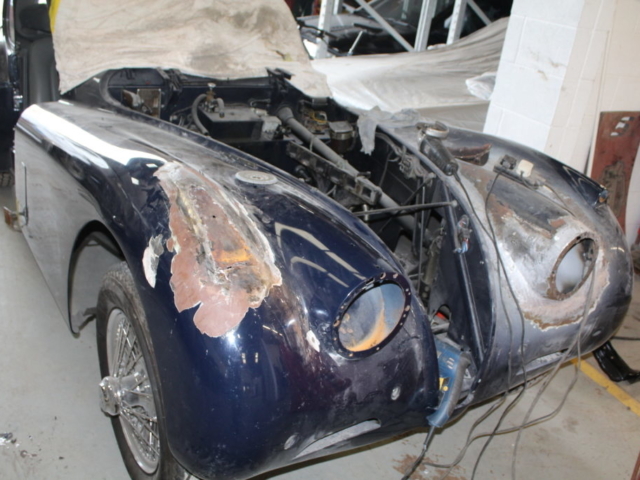 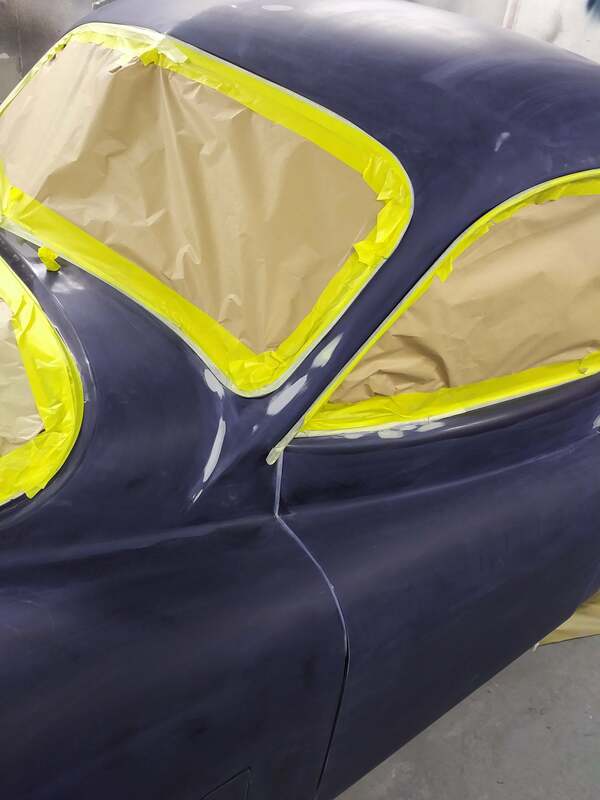 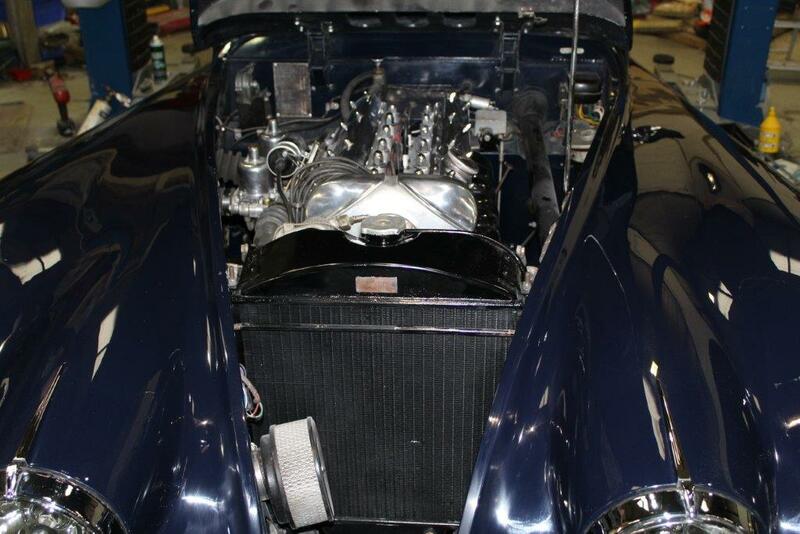 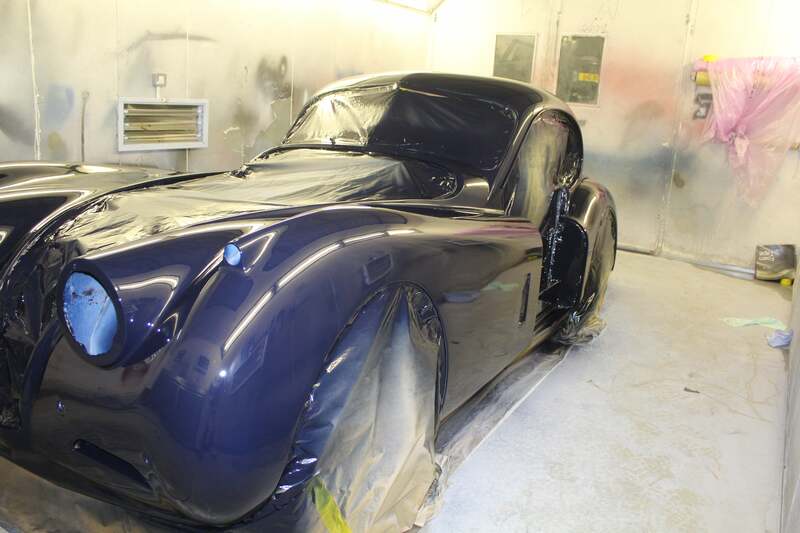 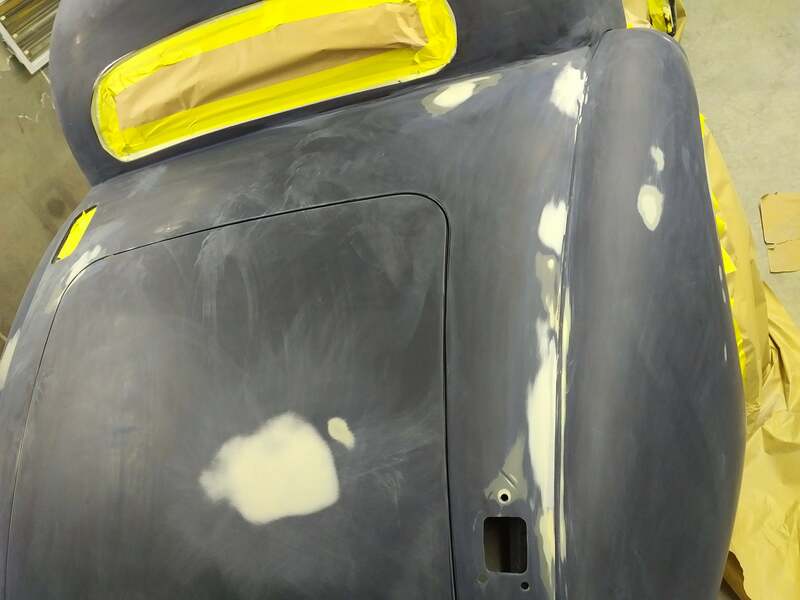 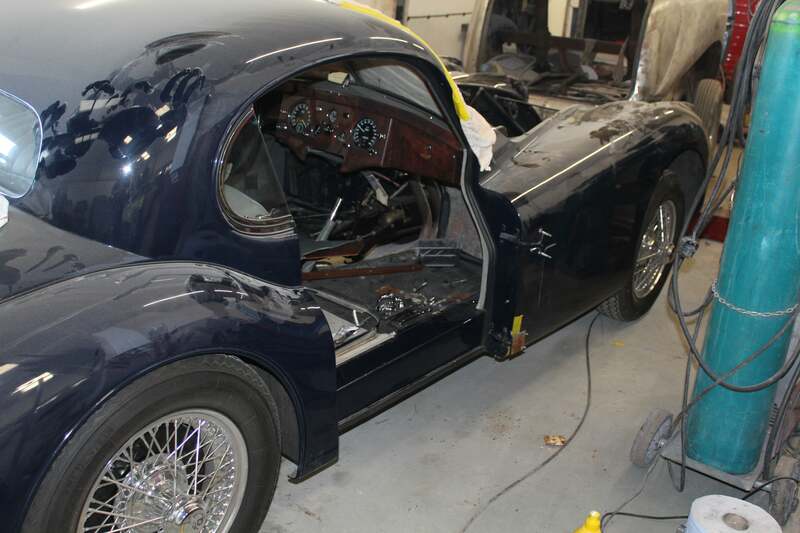 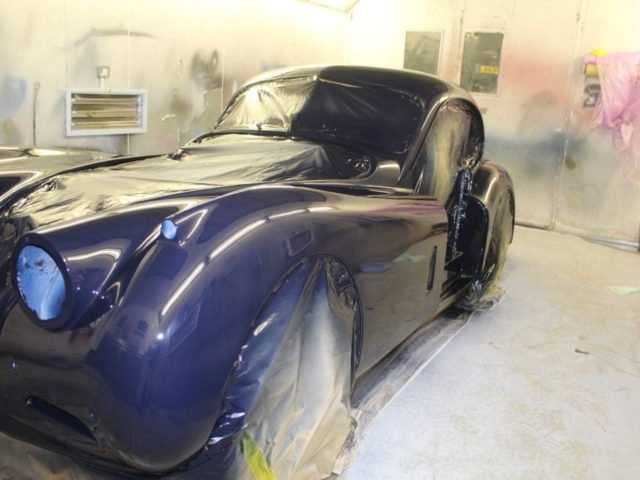 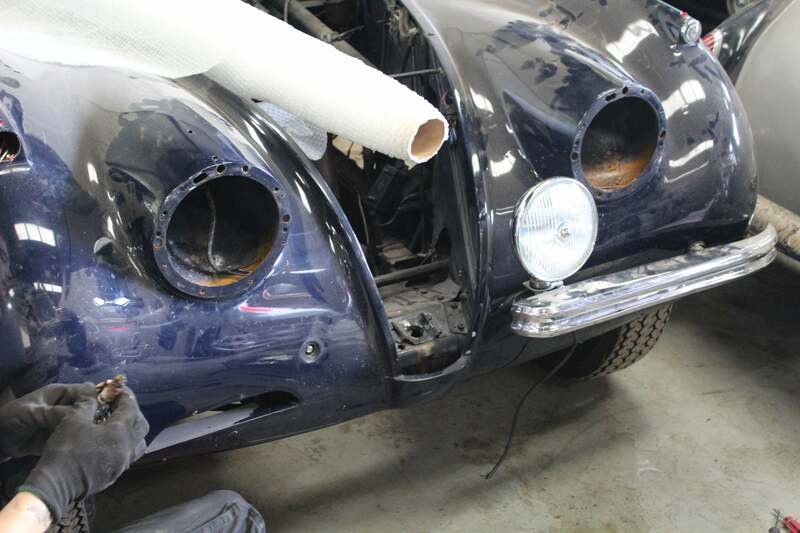 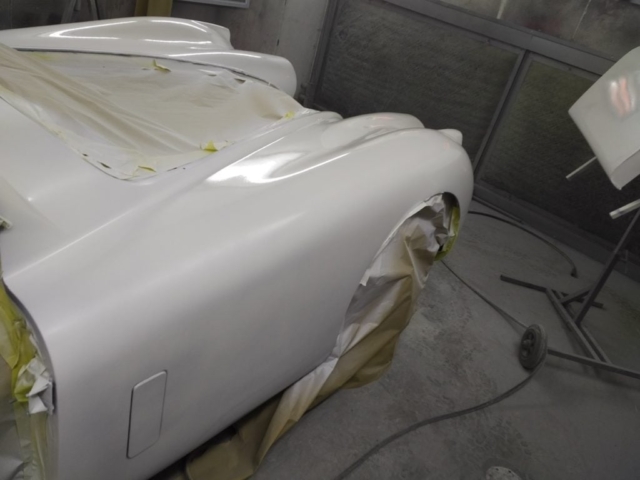 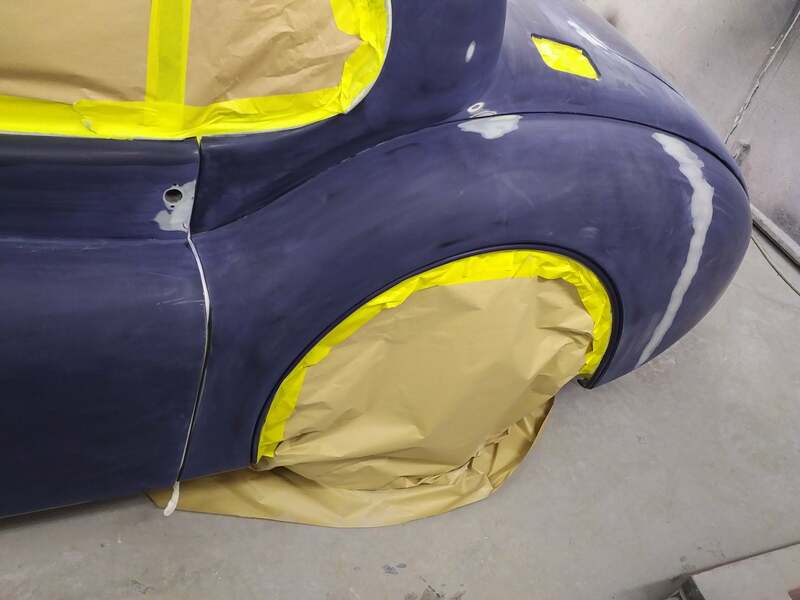 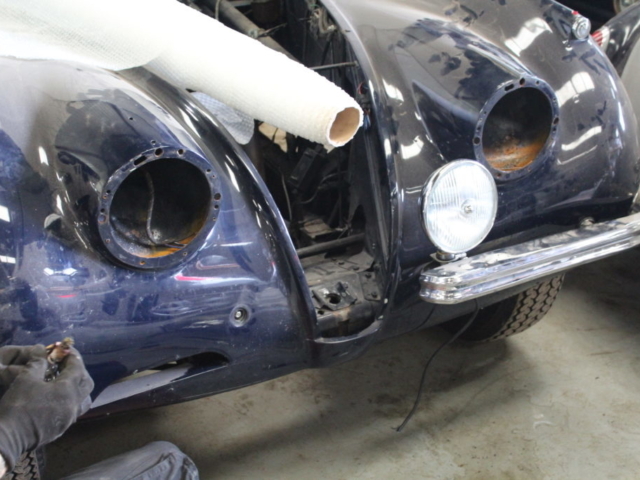 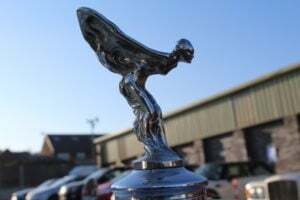 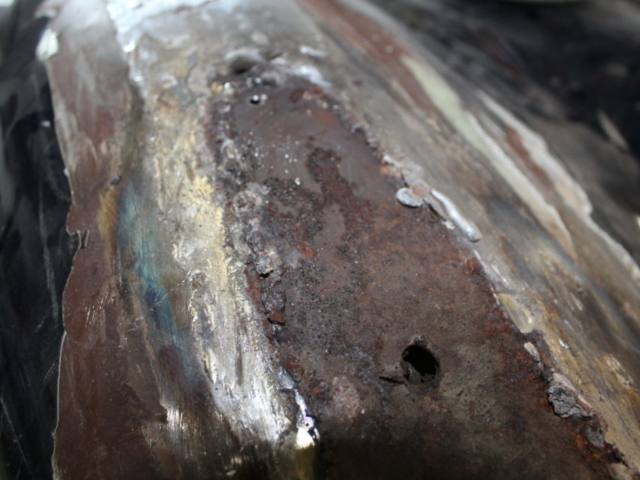 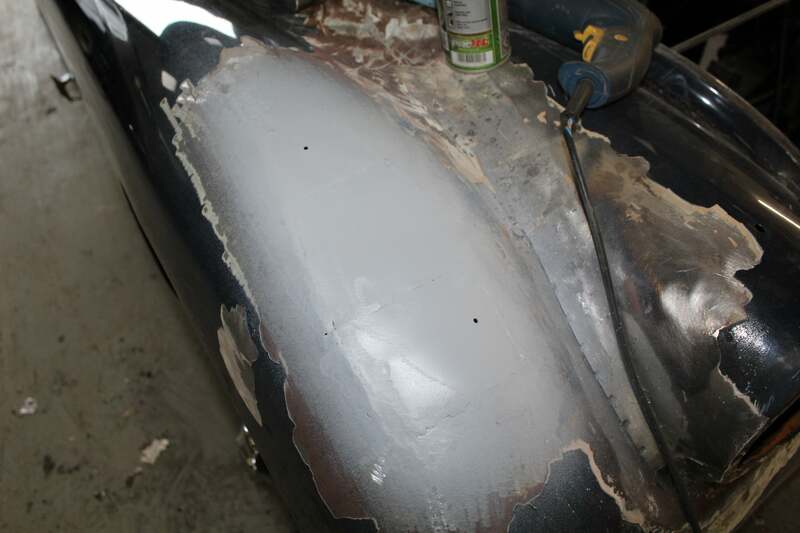 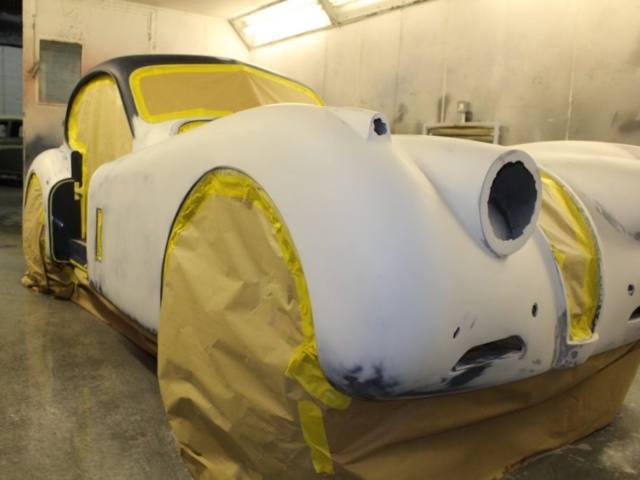 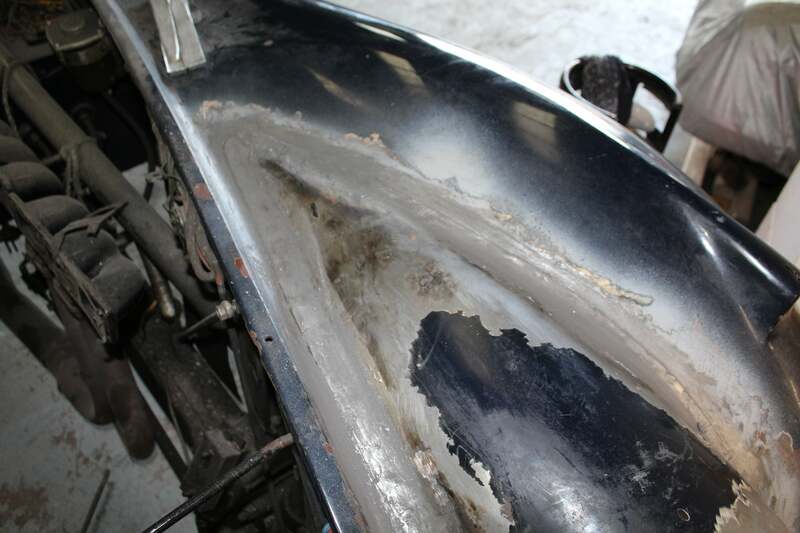 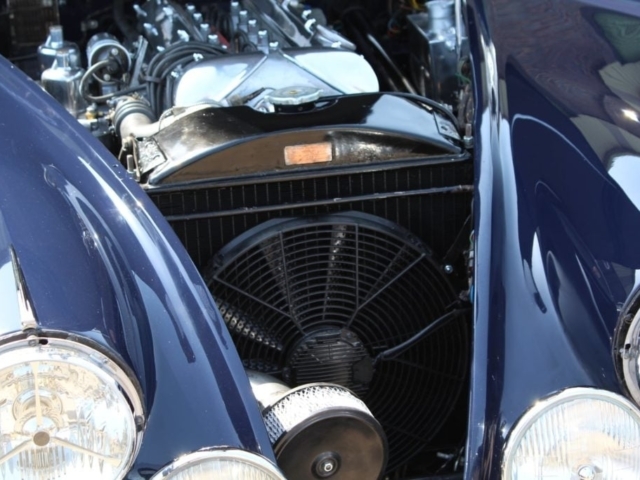 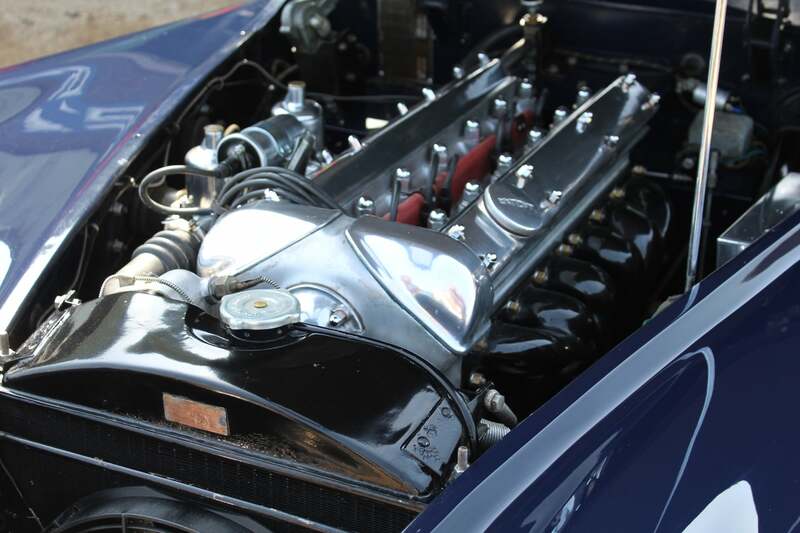 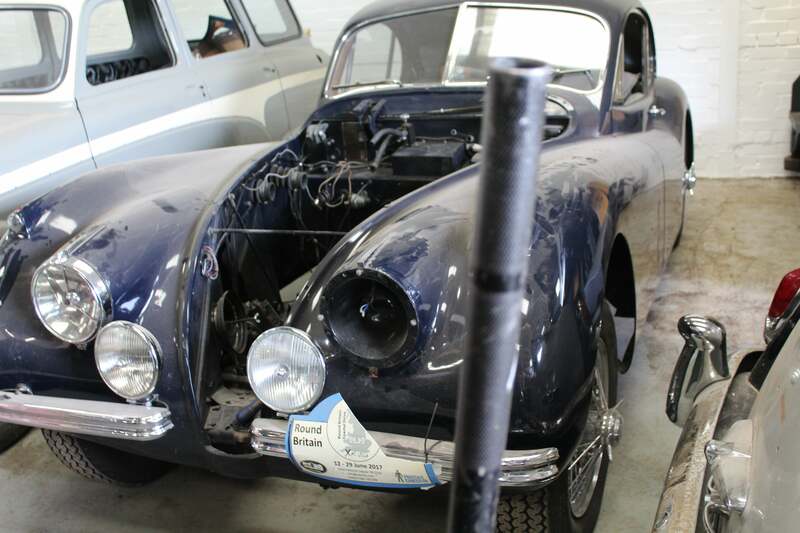 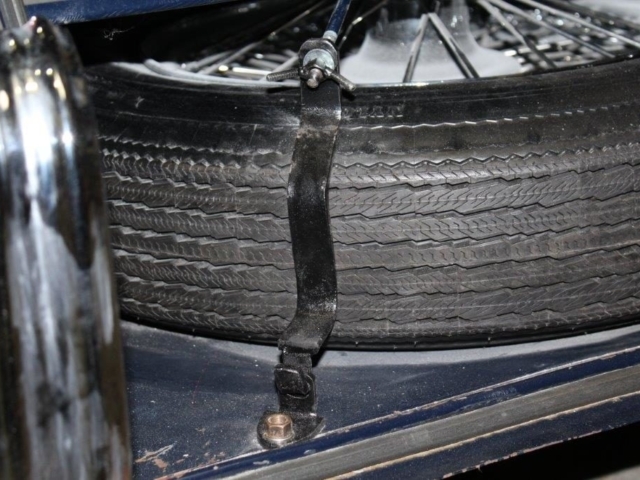 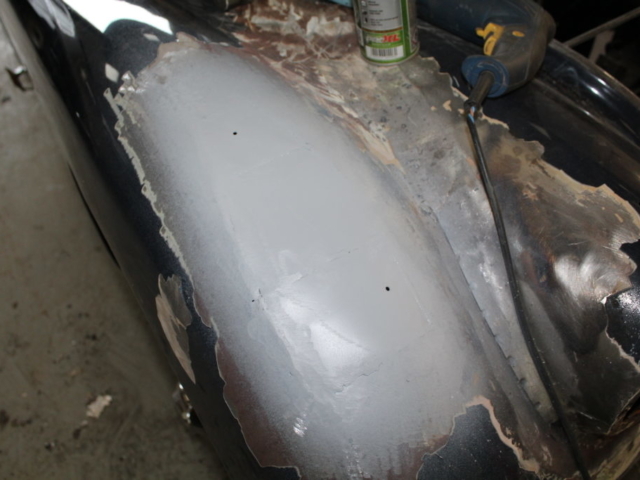 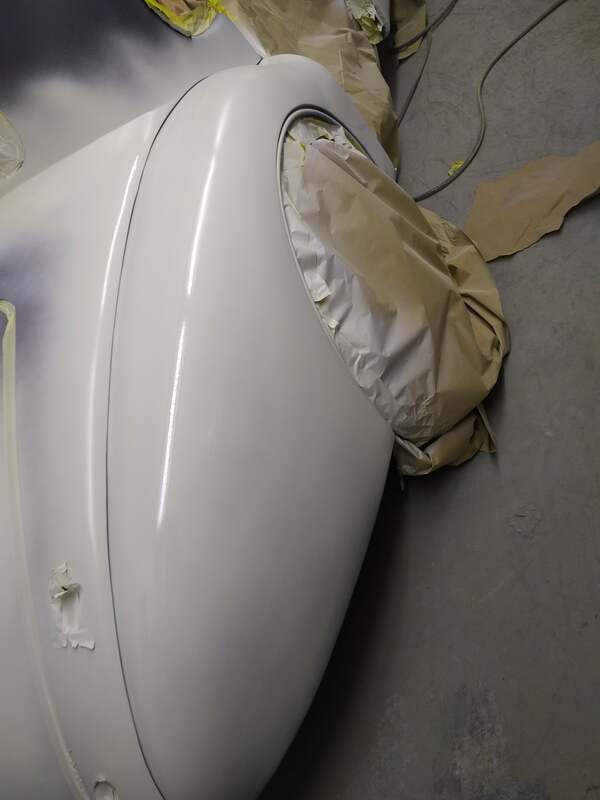 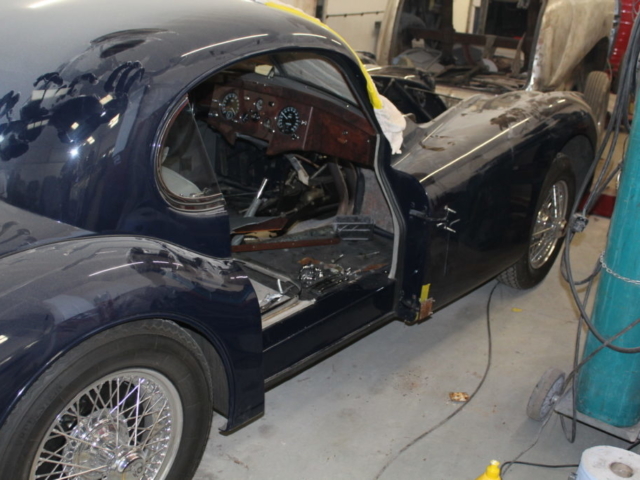 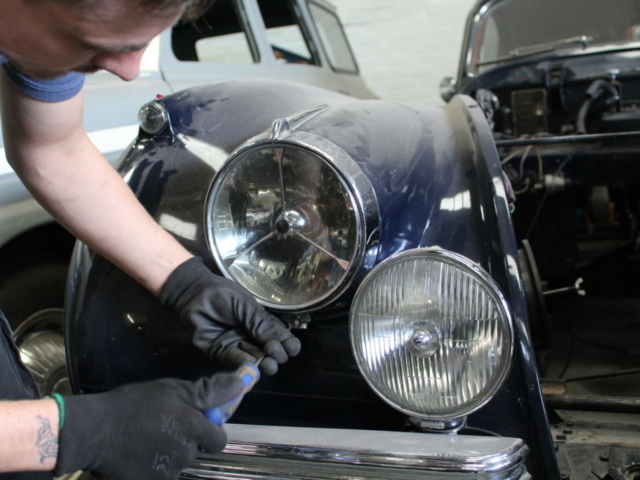 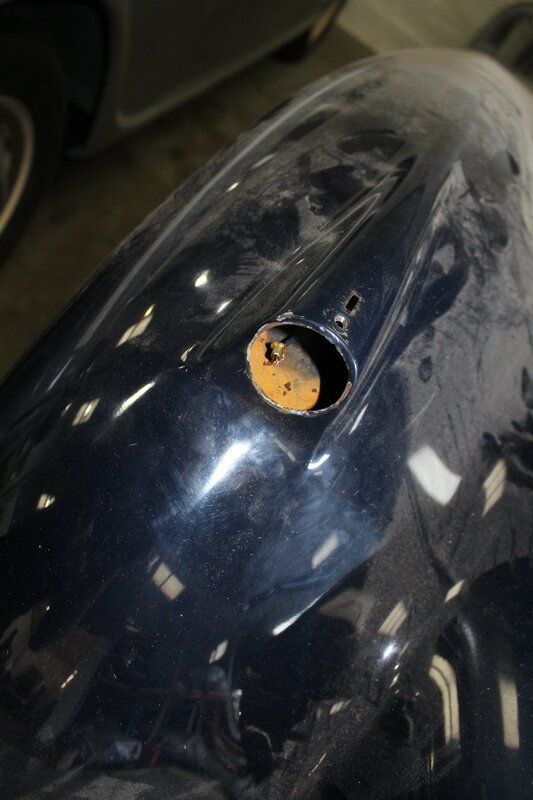 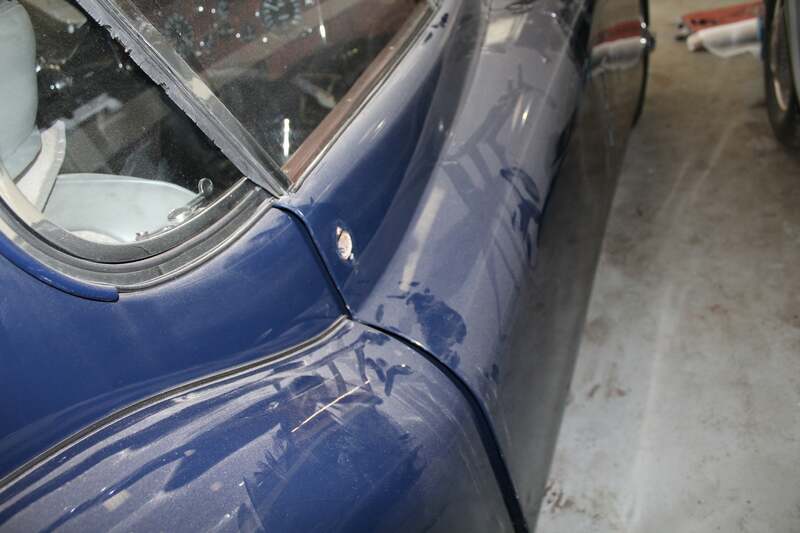 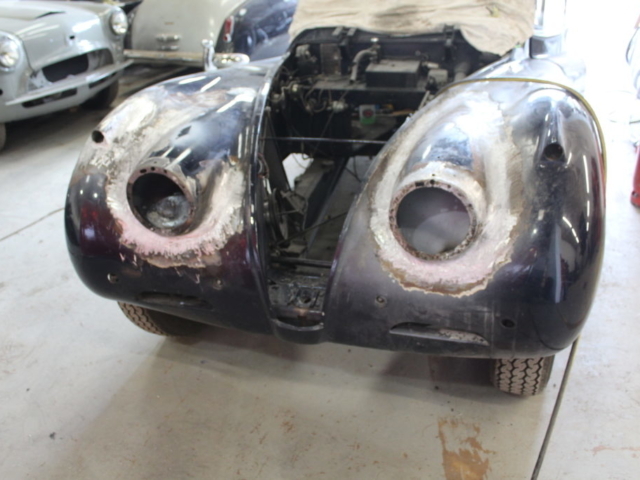 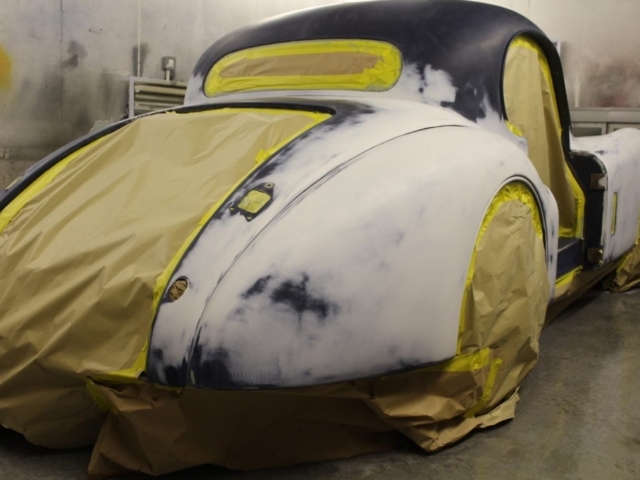 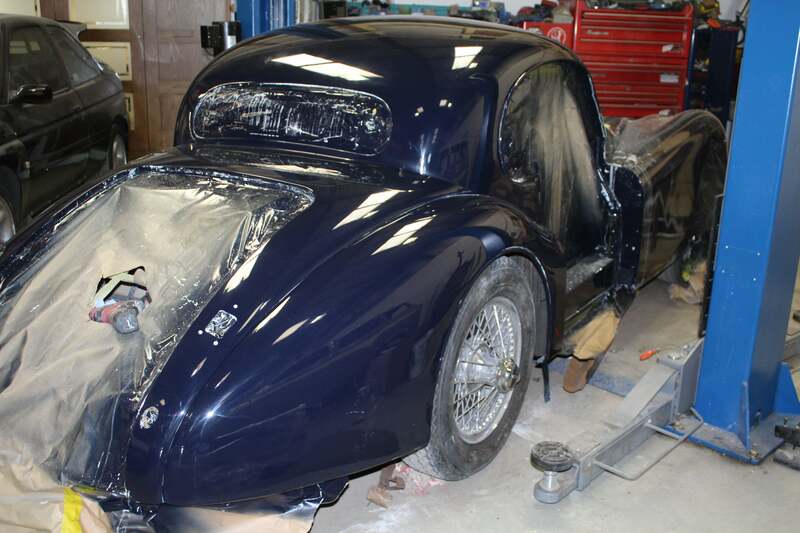 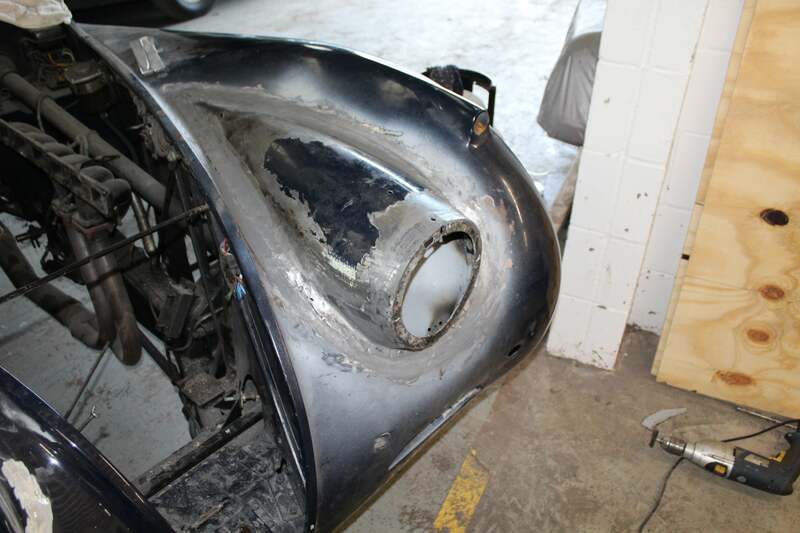 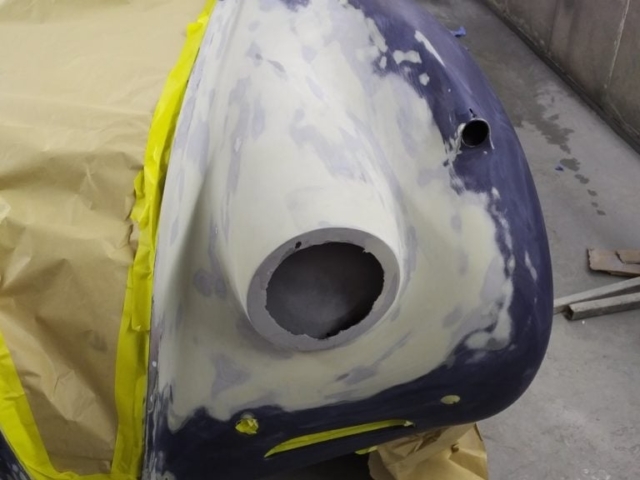 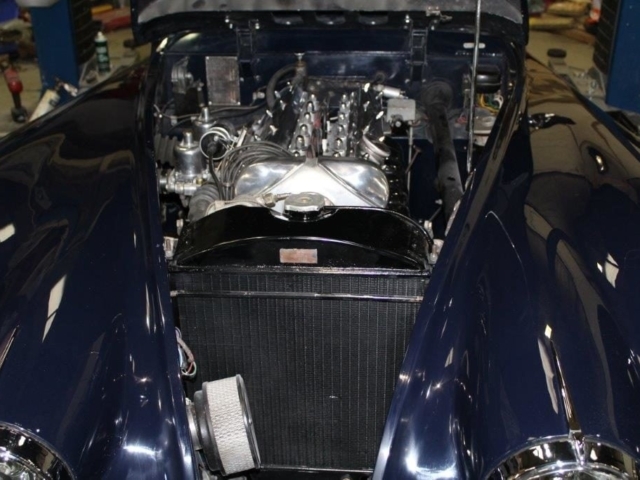 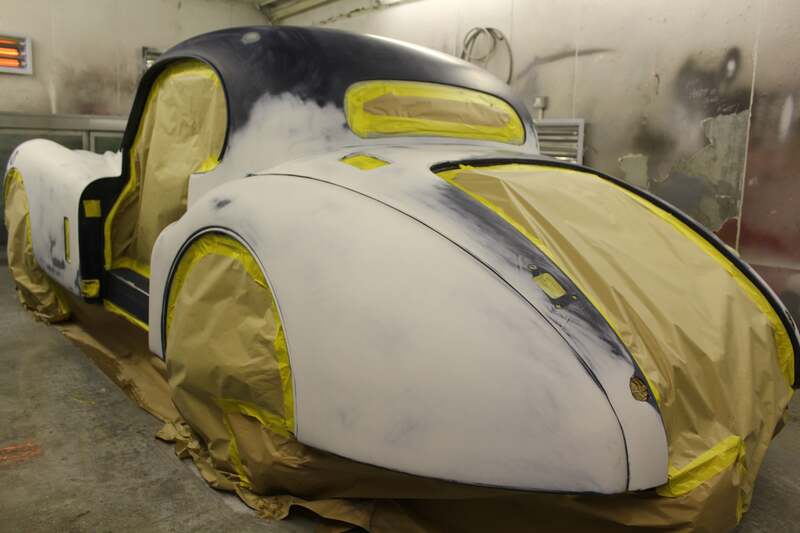 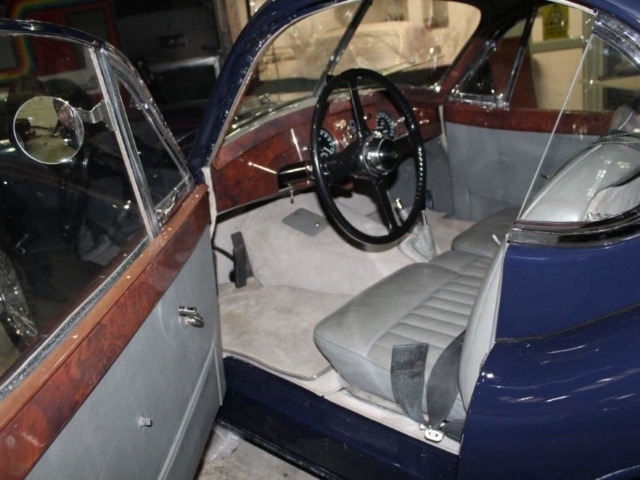 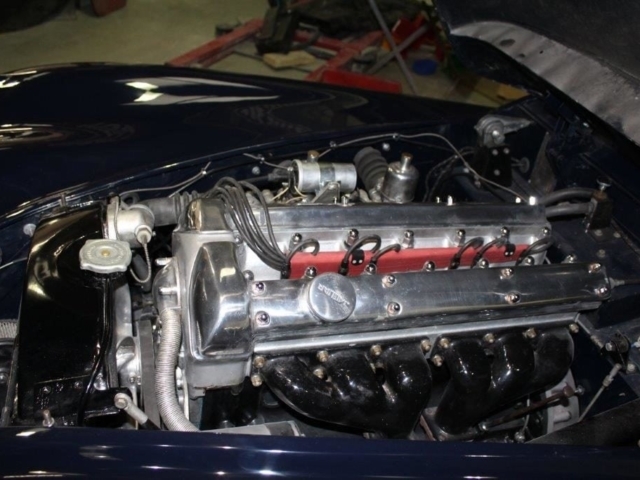 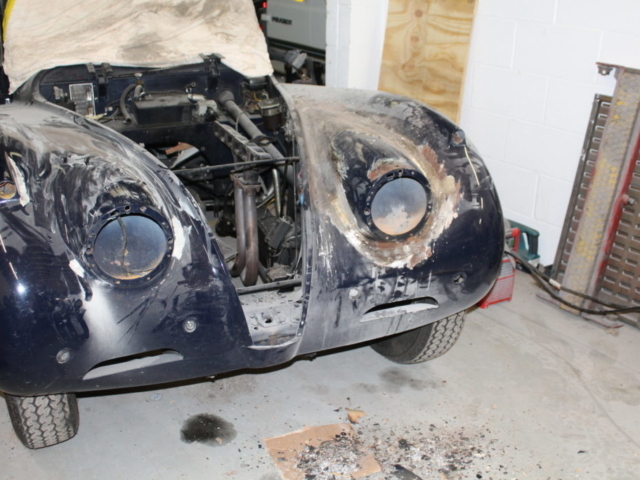 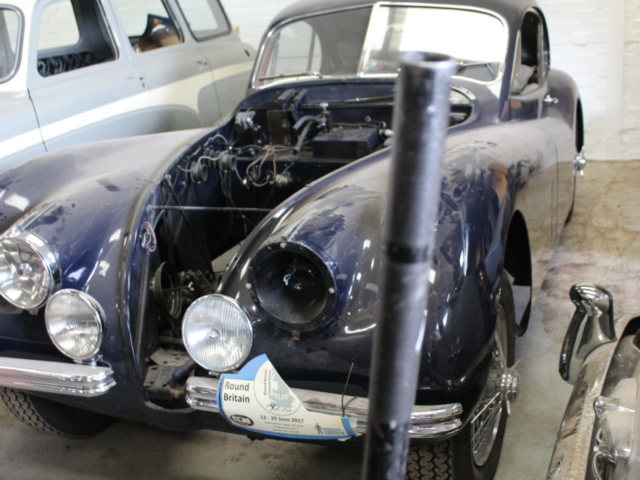 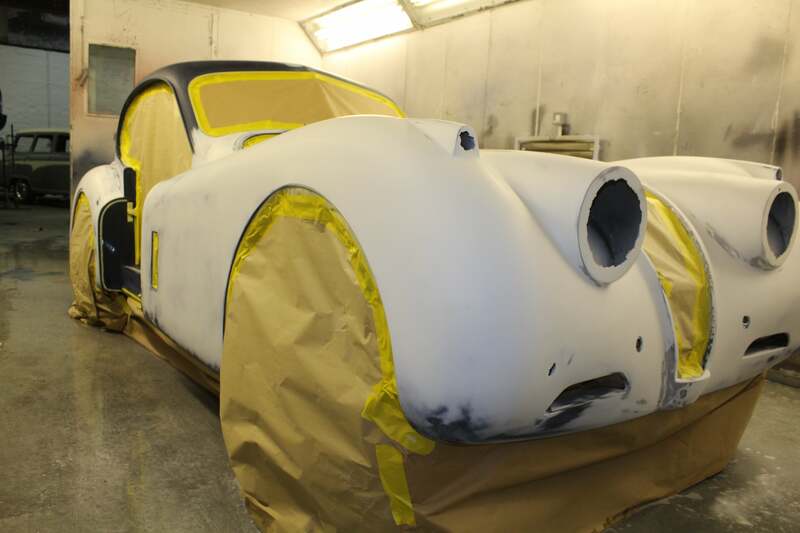 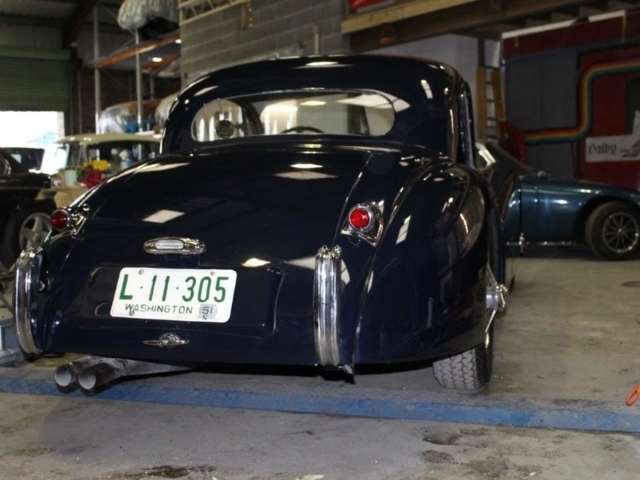 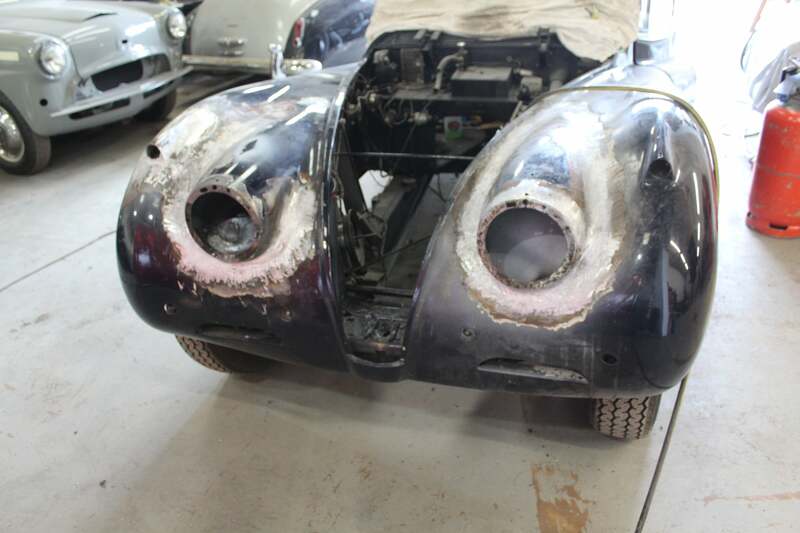 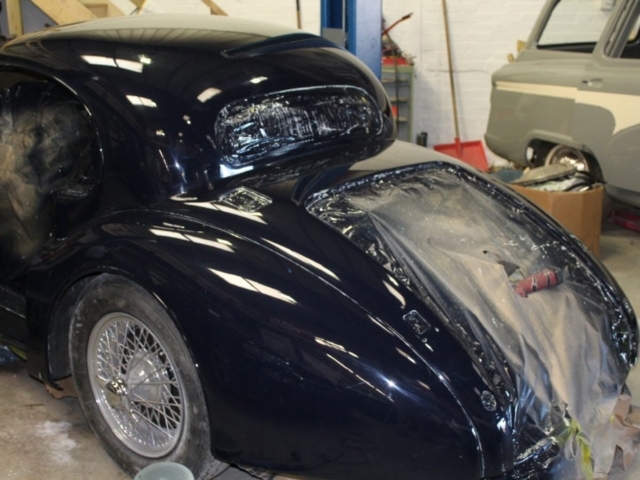 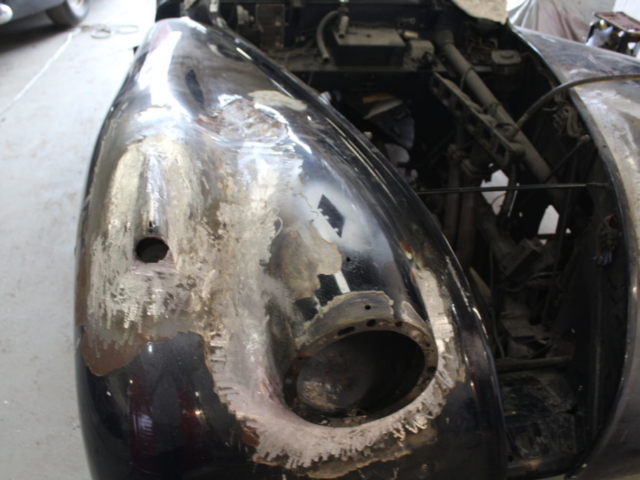 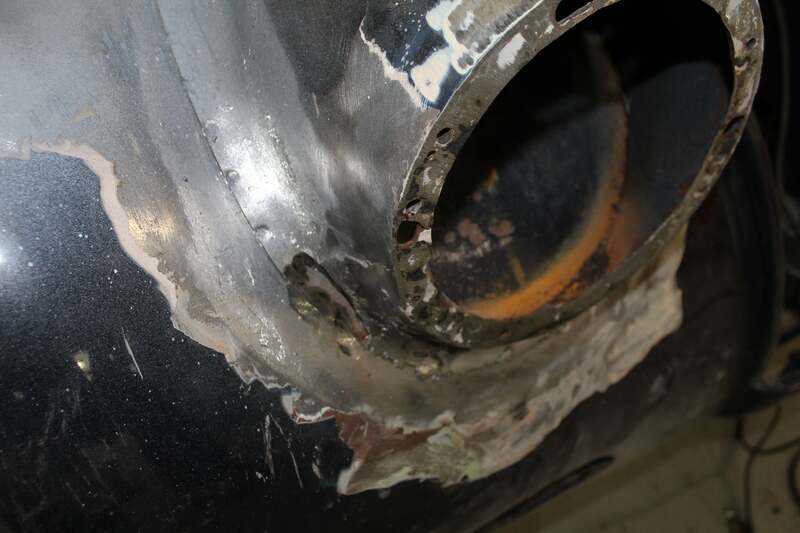 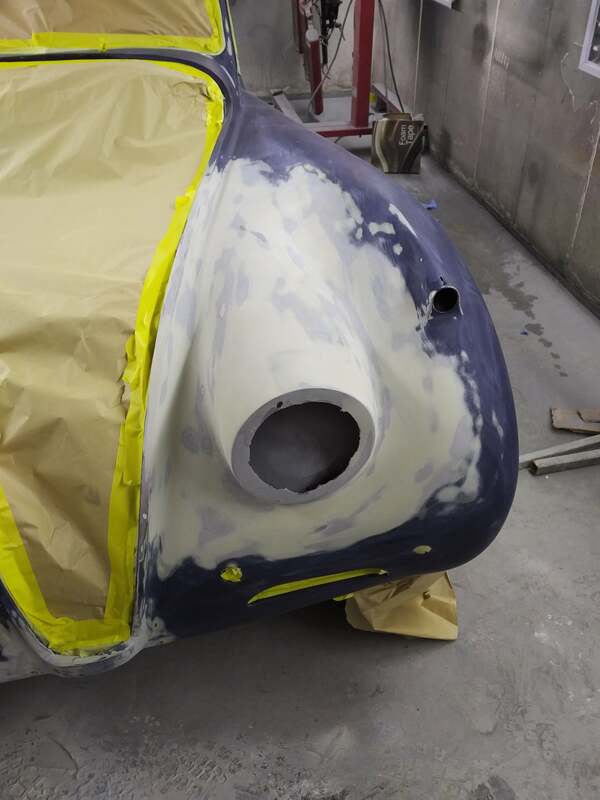 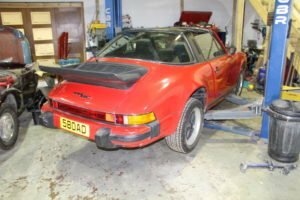 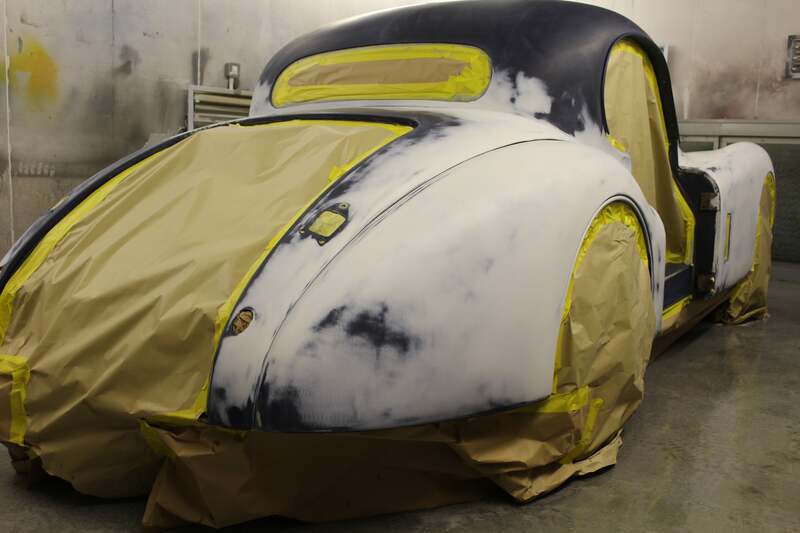 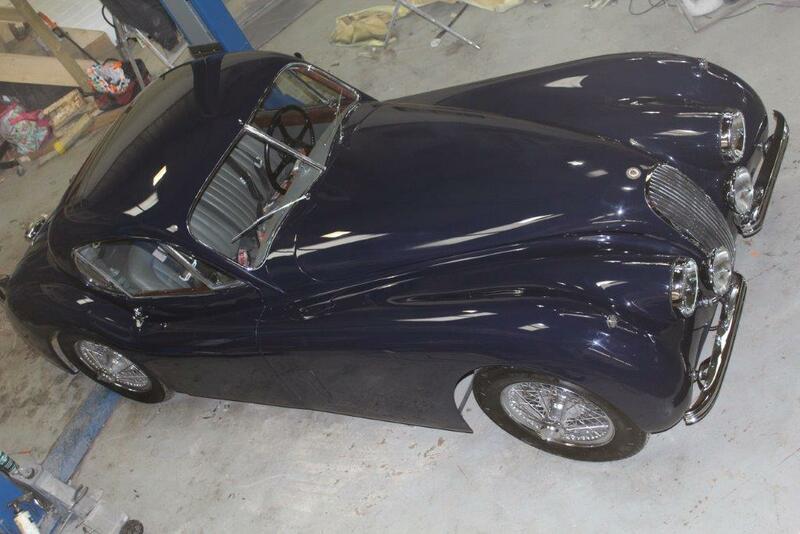 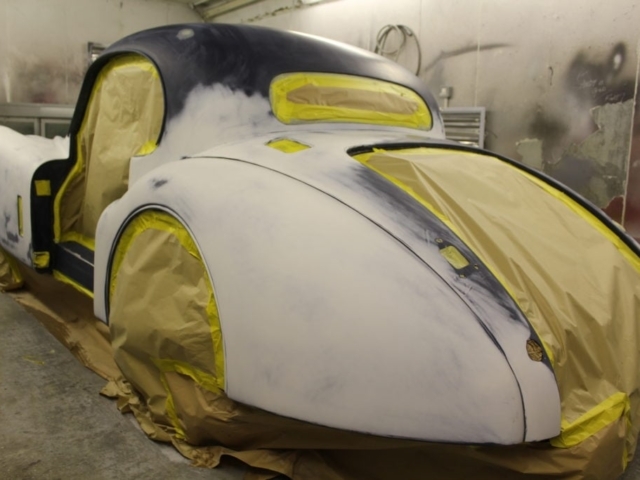 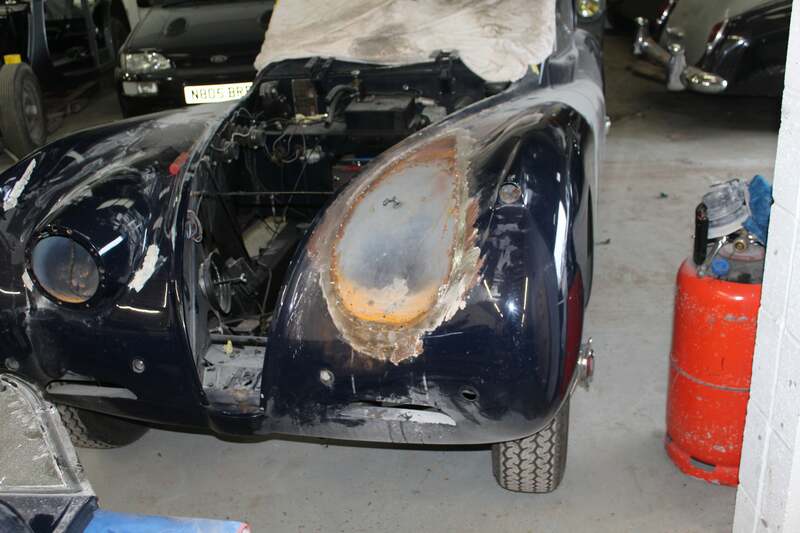 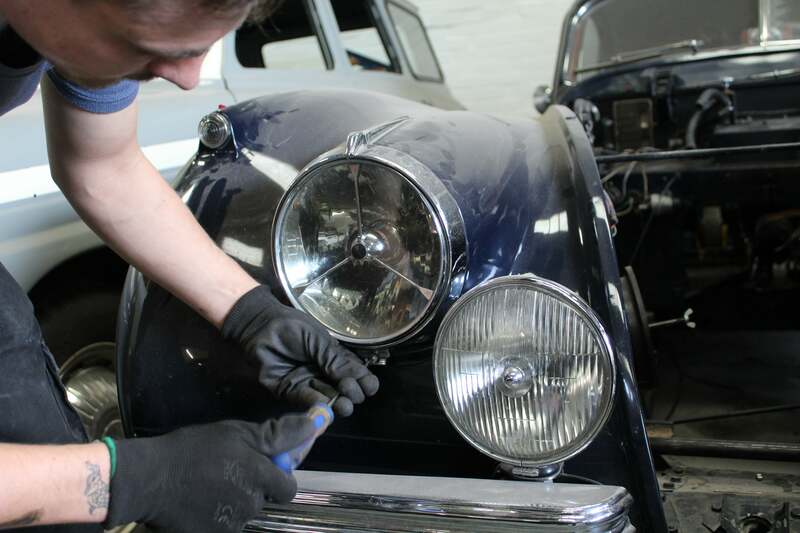 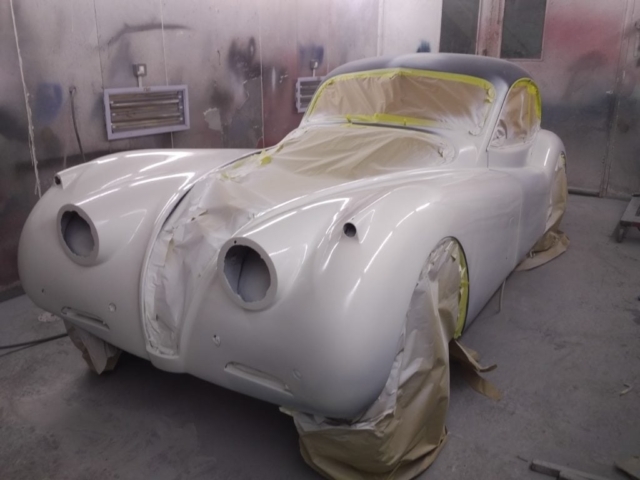 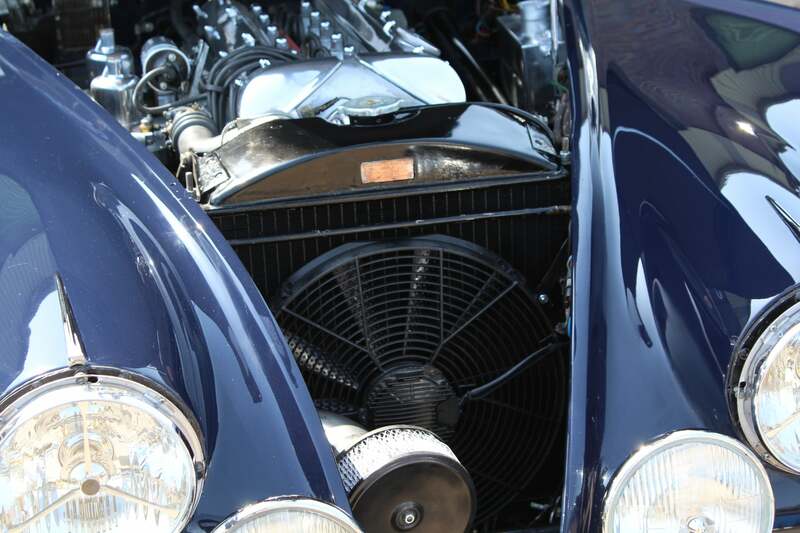 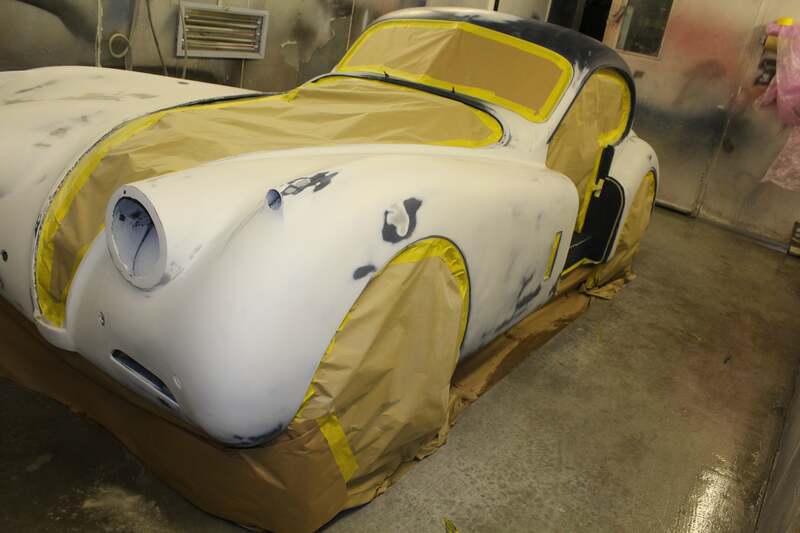 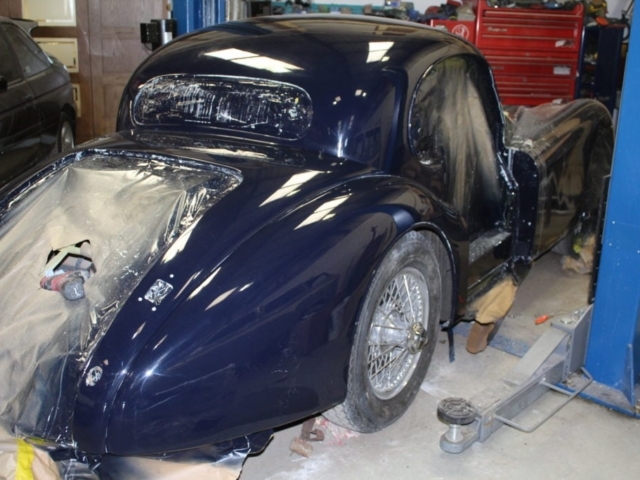 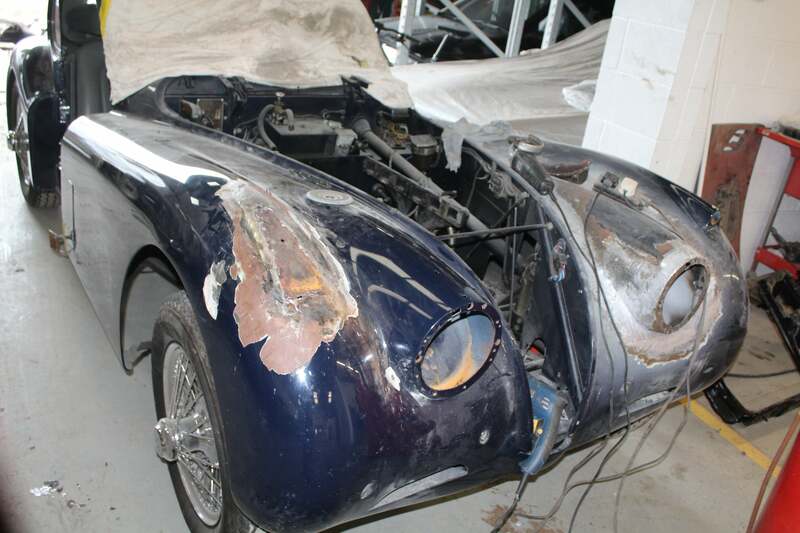 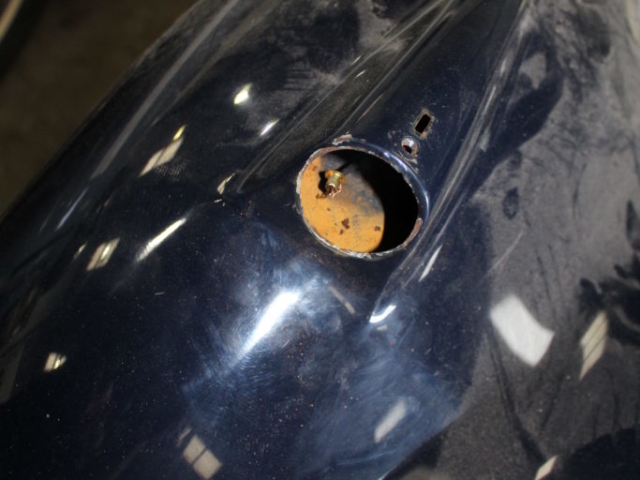 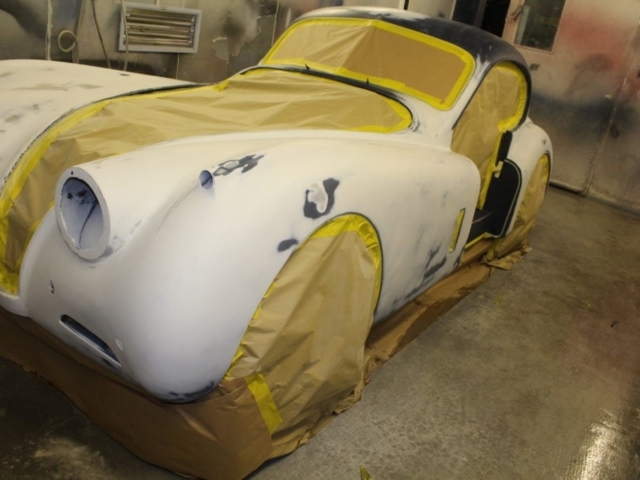 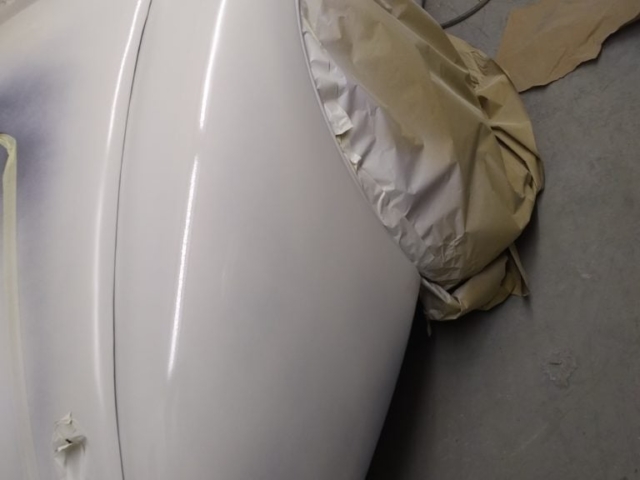 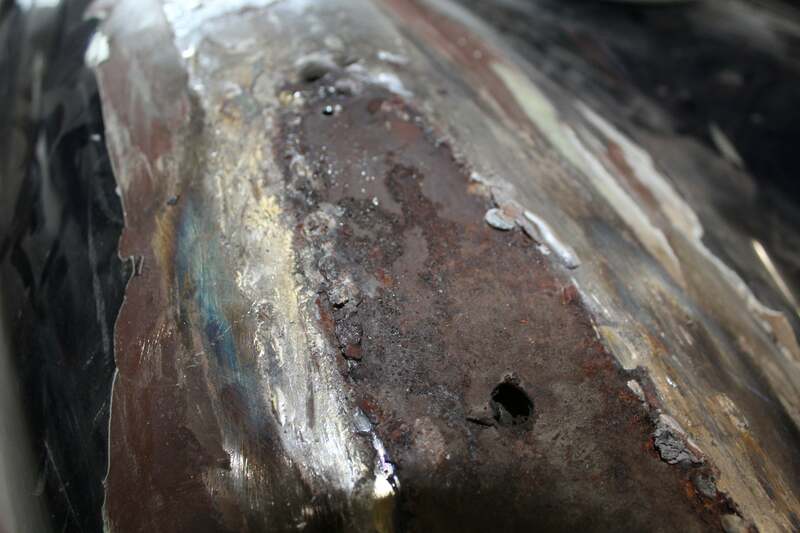 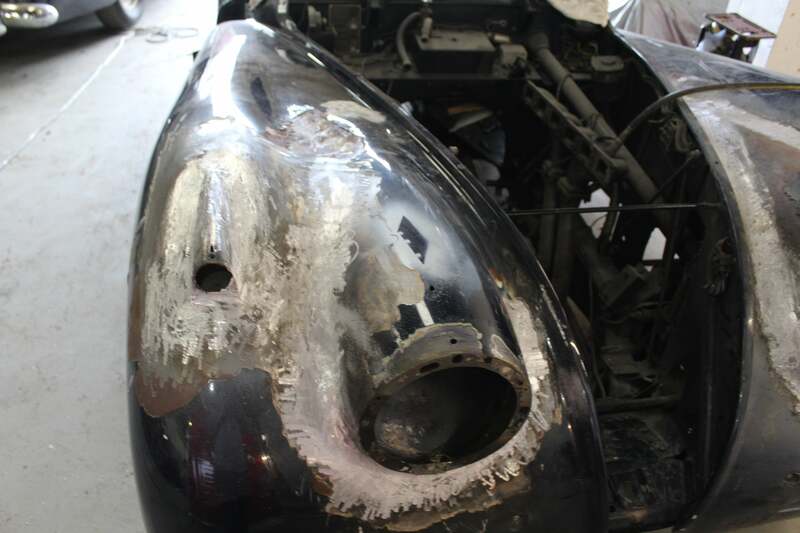 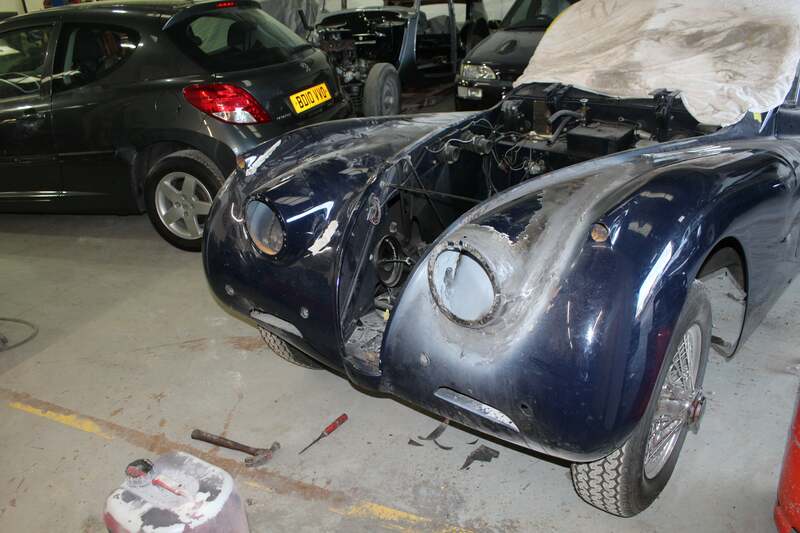 If you have any restoration work needed on your classic vehicle then why not give us a call on 01543 466 225 and see what we could do for you.